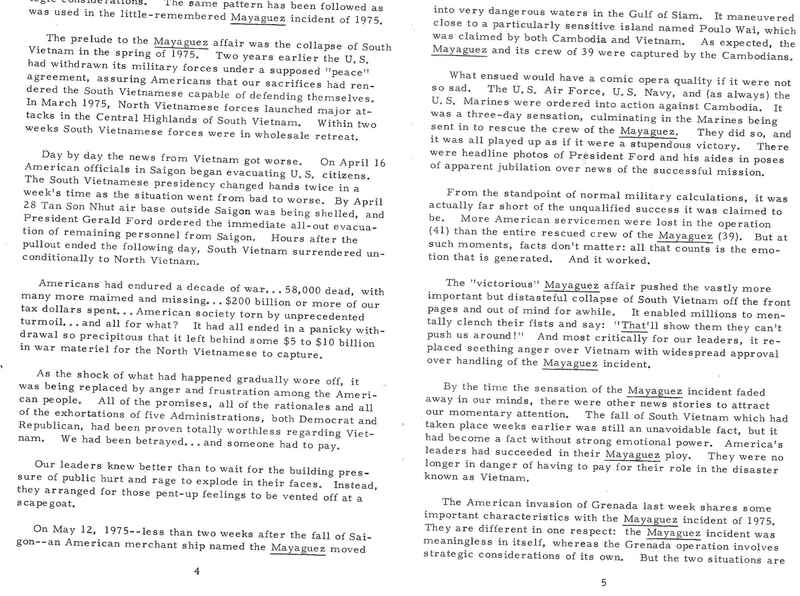 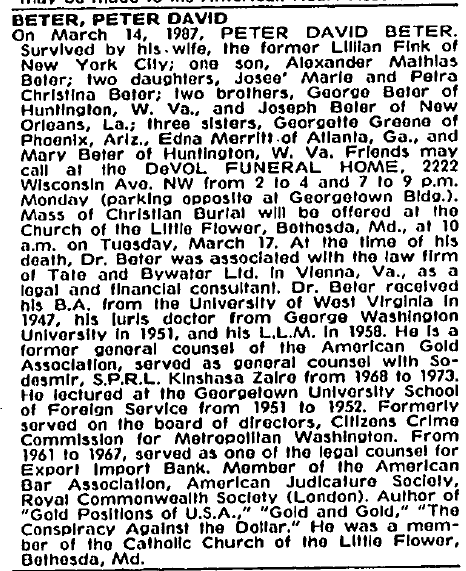 Dr. Beter was General Counsel for the Export-Import Bank of Washington; a candidate for the governorship of West Virginia; cofounded SODESMIR, a mineral exploration company in Zaire; represented American gas utilities building a pipeline the length of Argentina; represented mining interests in underwater manganese nodule exploration in the Pacific; was featured at financial seminars in New York City, Los Angeles, San Francisco, Toronto, Montreal, Geneva, and other international financial centers. 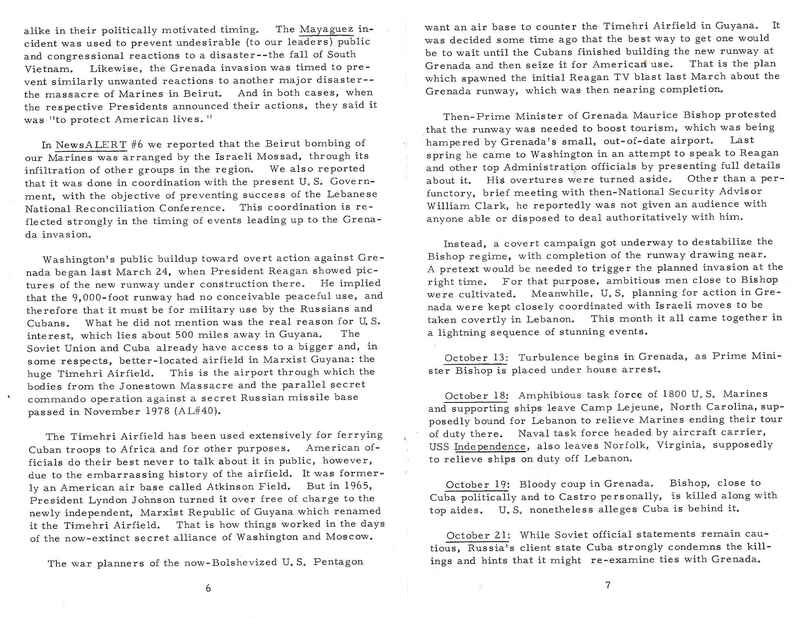 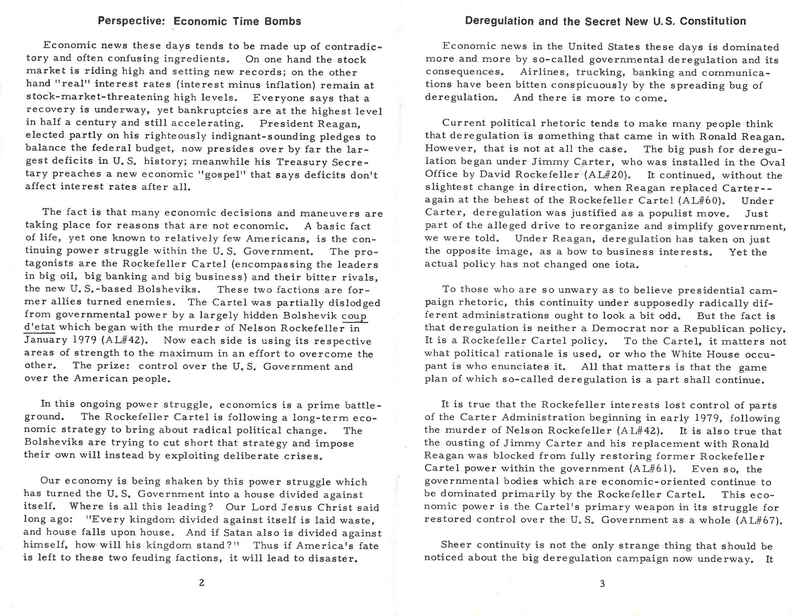 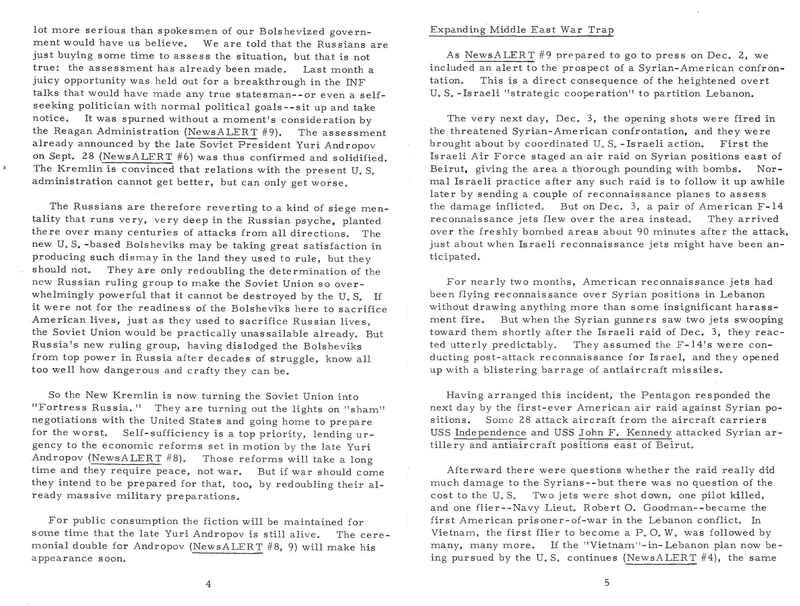 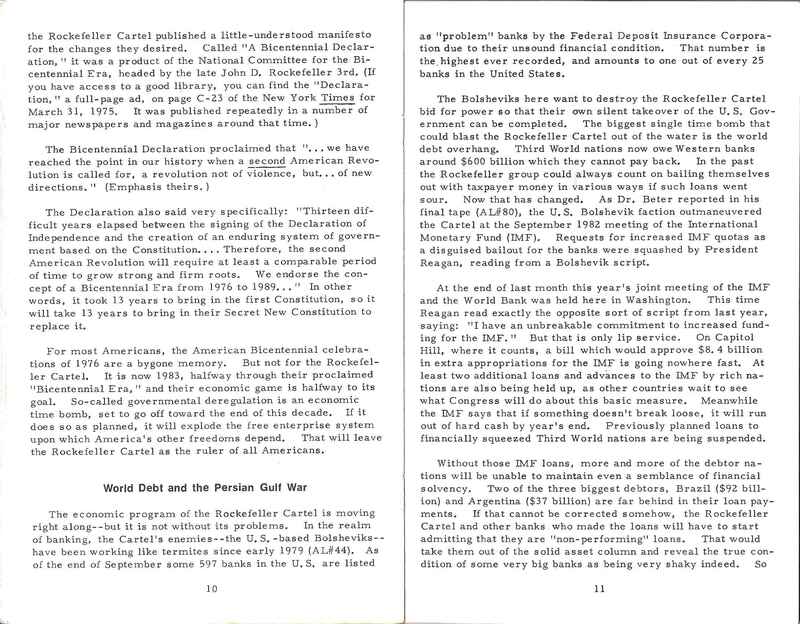 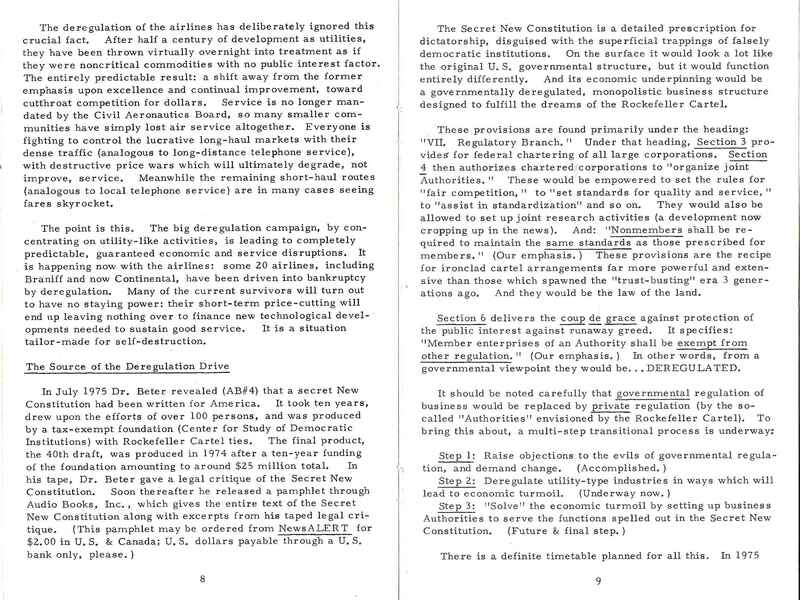 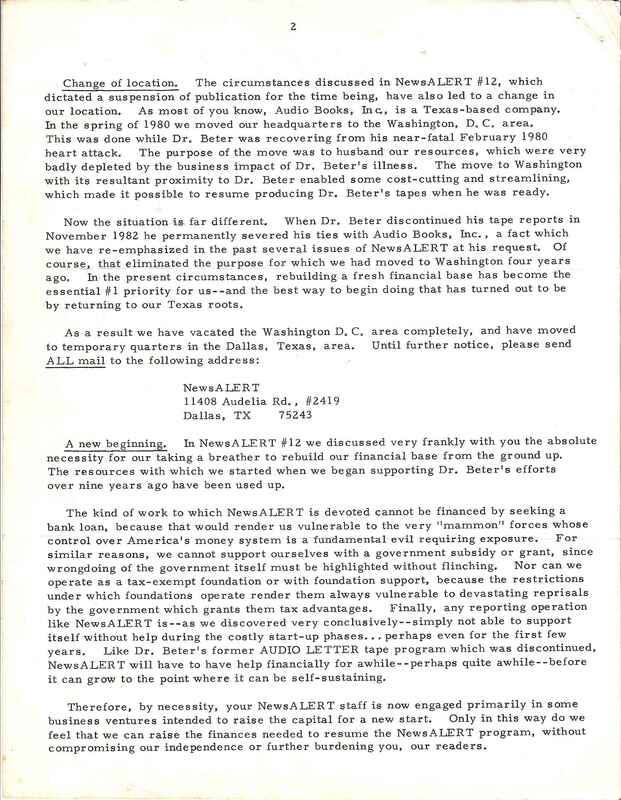 As a political and economic commentator, Dr. Beter worked with Wall Street luminaries including Franz Pick, Edward Durell, Colonel Curtis Dall, Norman Dodd, Emmanuel Josephson, and many others. 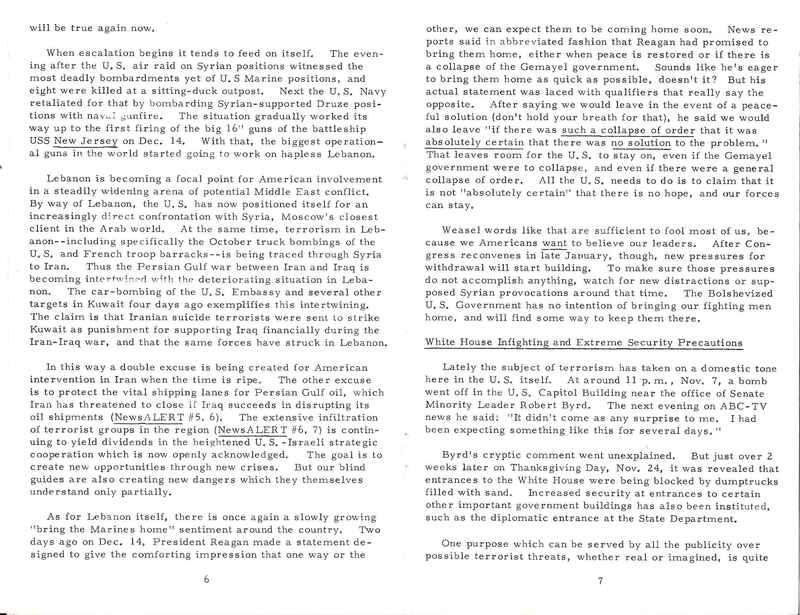 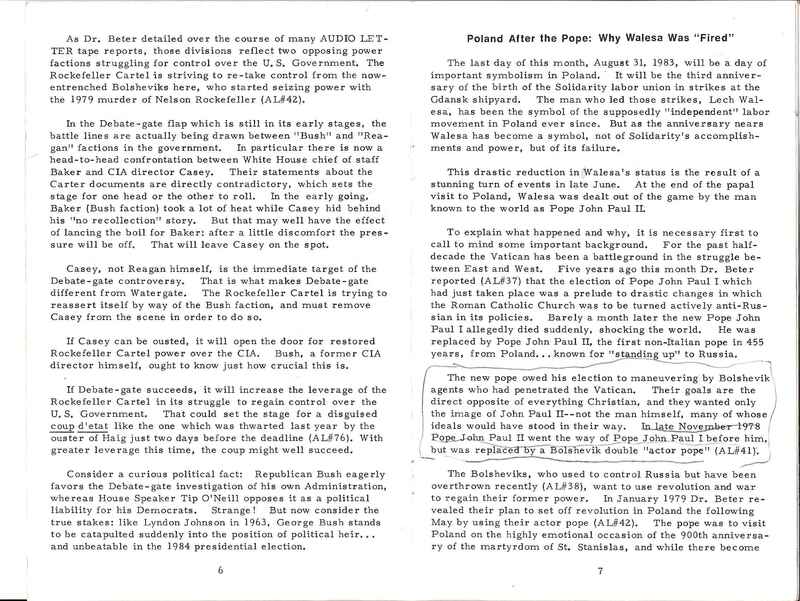 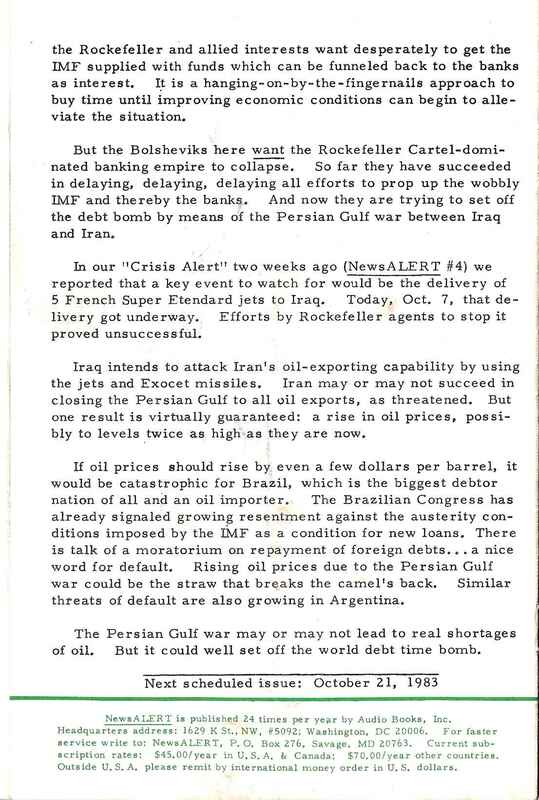 He wrote prolifically, including Conspiracy Against the Dollar (Braziller New York). 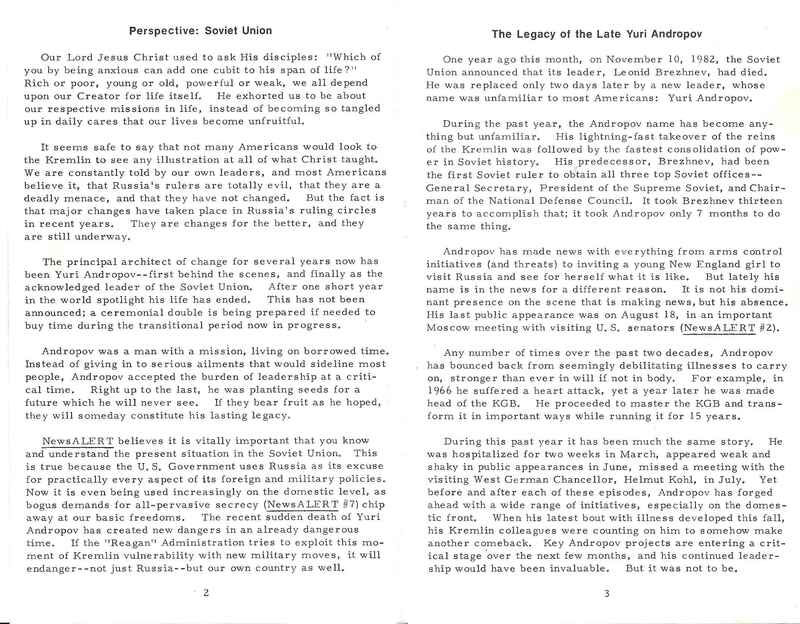 Download and Play MP3 Audio Letters in your Media Player. 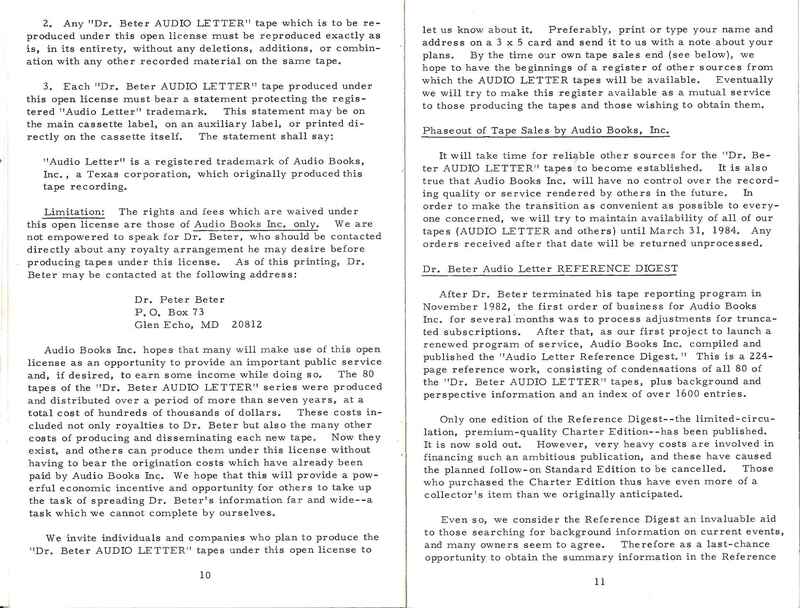 Now is whole audio letters serie online! 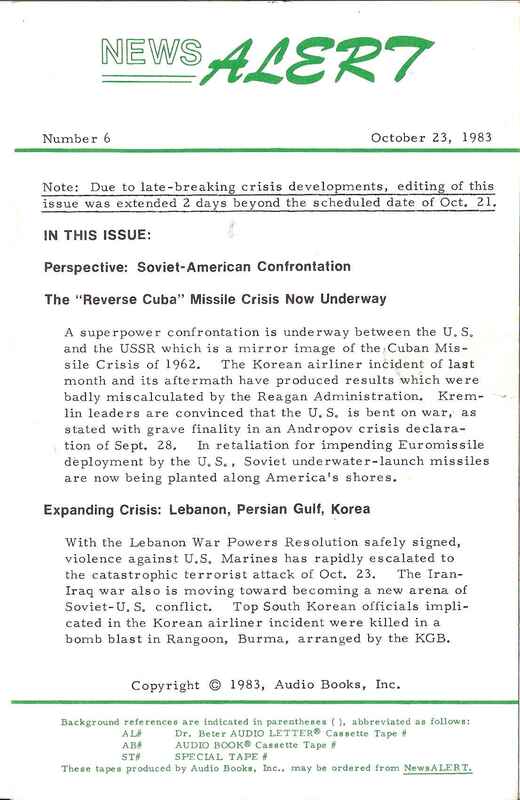 Including Audio Books and Special Reports! 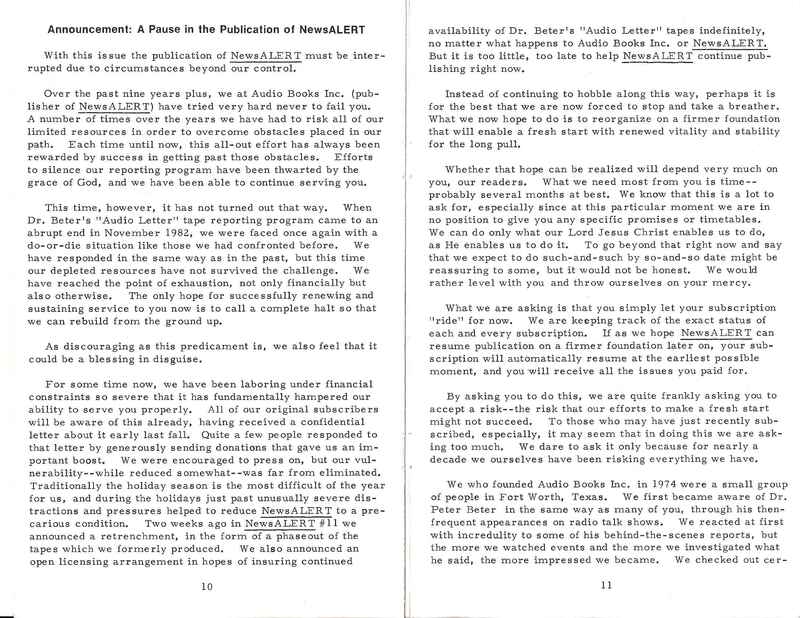 MP3 audio letters were provided by Dan Holt. 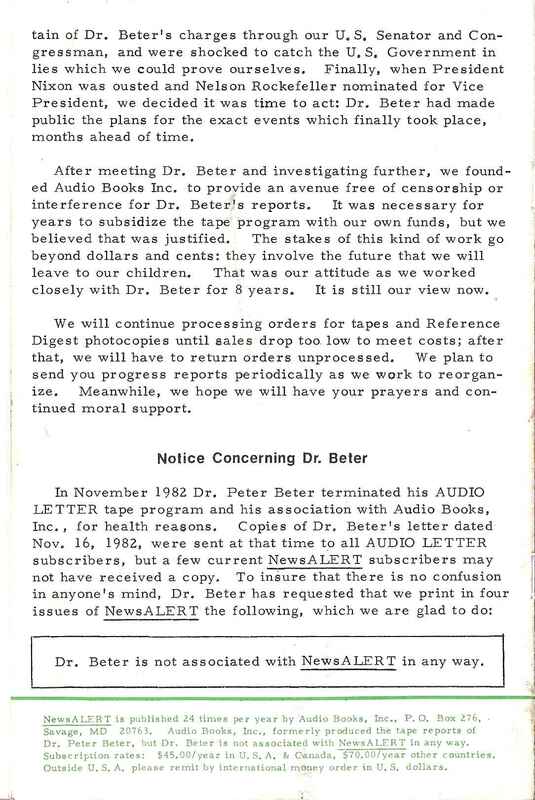 NEWS ALERT - "For about two years after Dr. Beter stopped recording his Audio Letters. 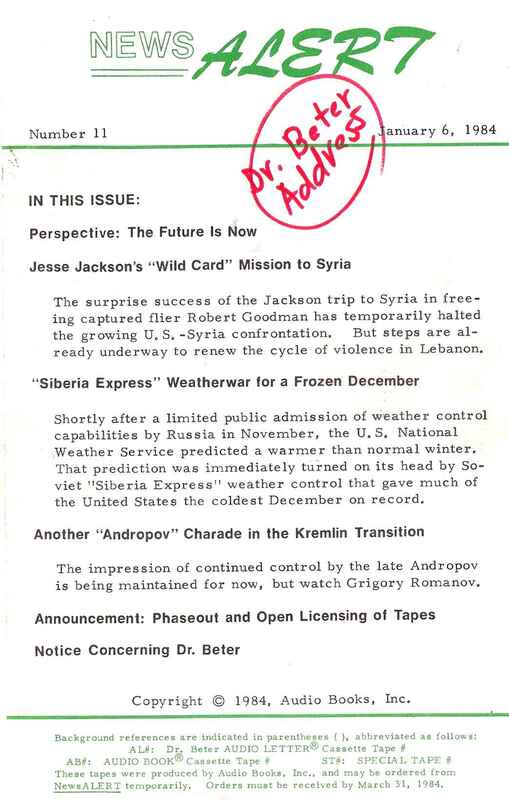 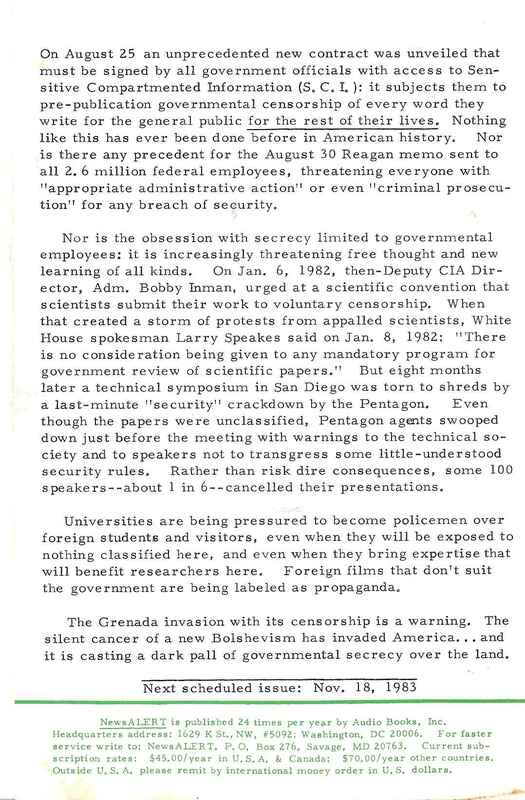 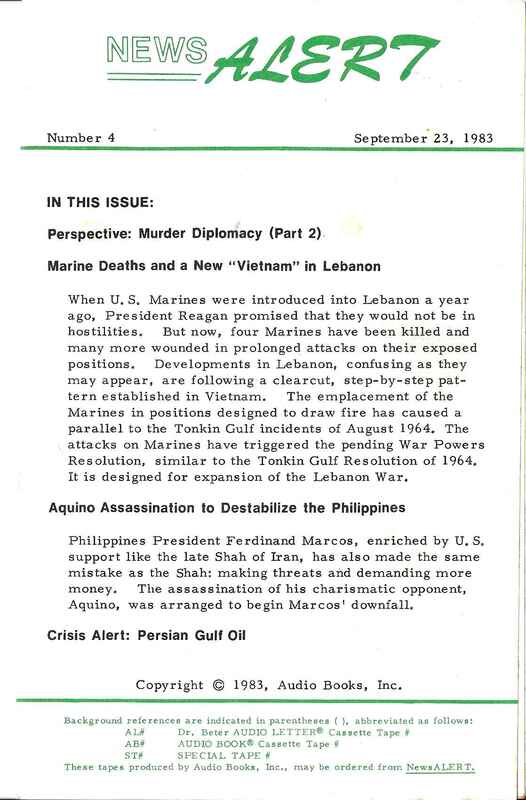 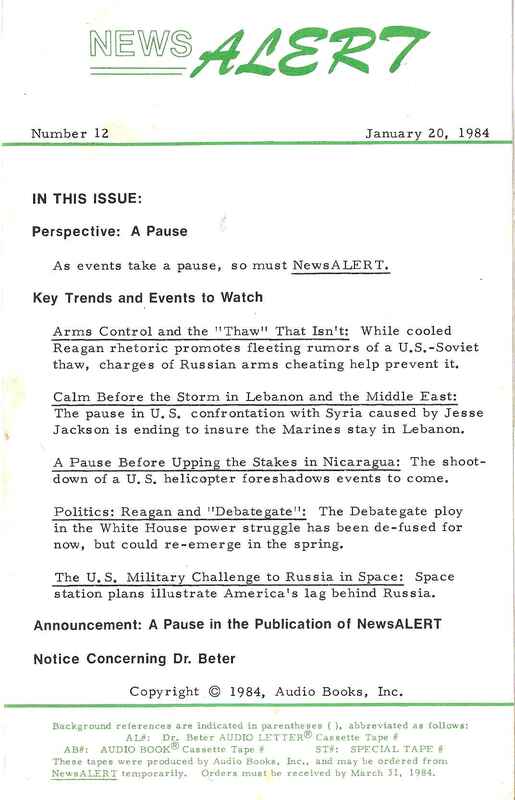 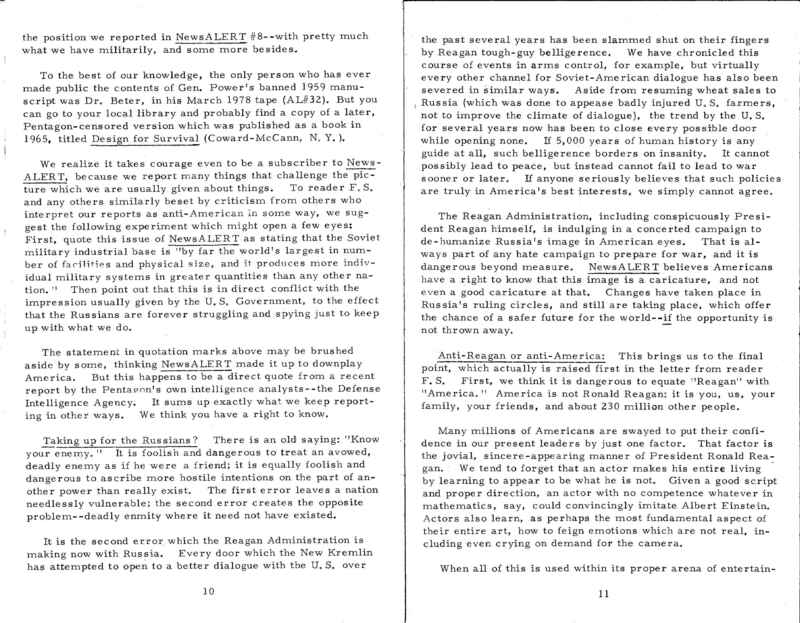 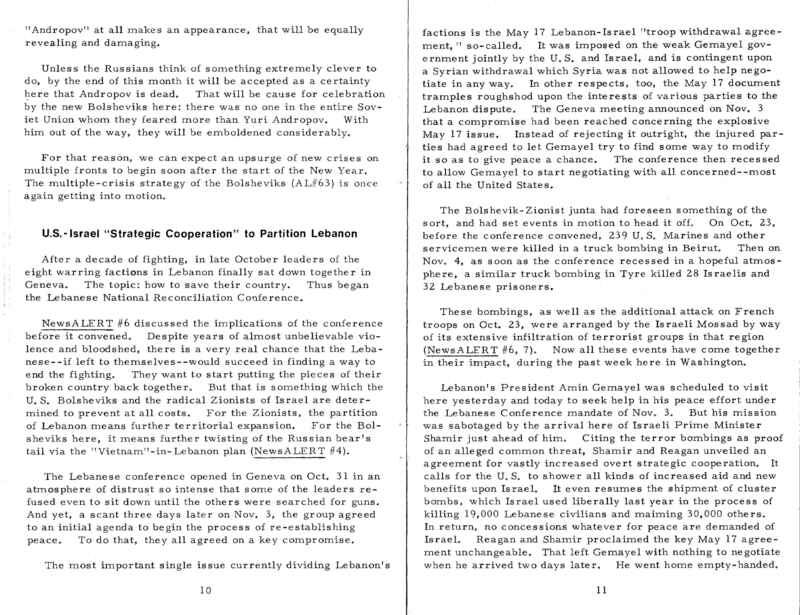 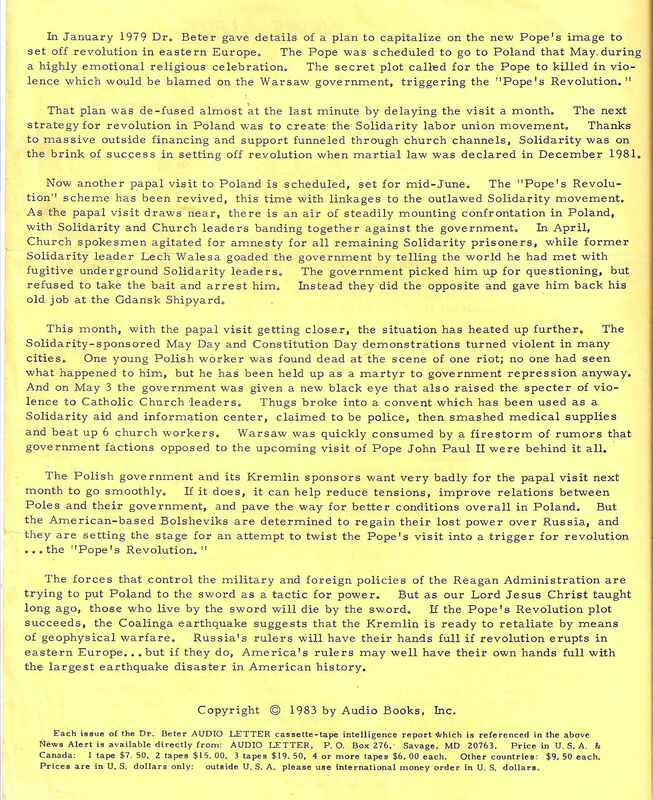 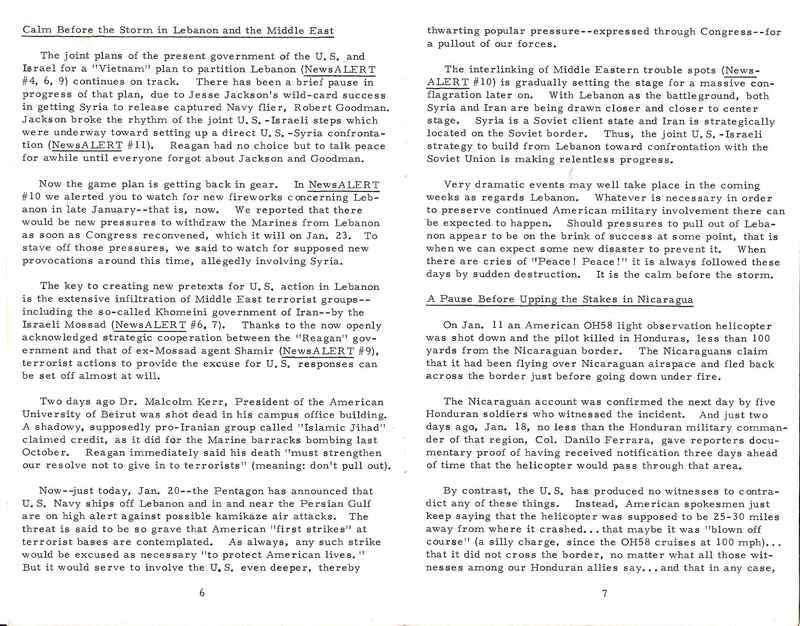 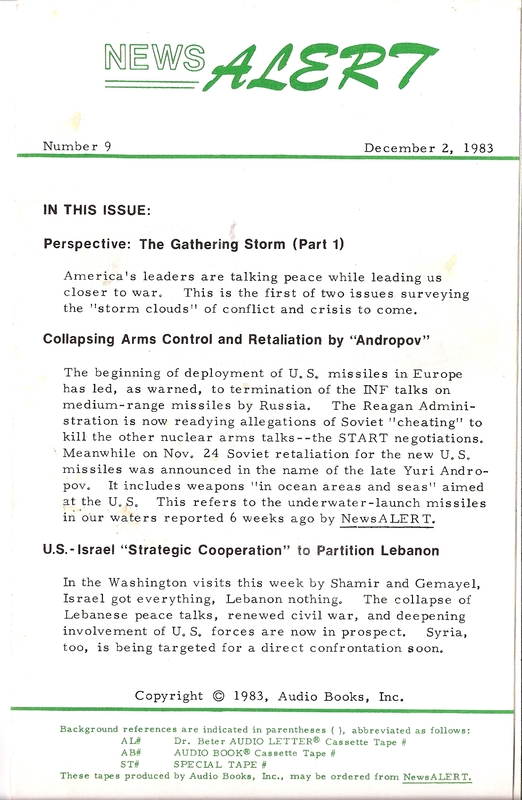 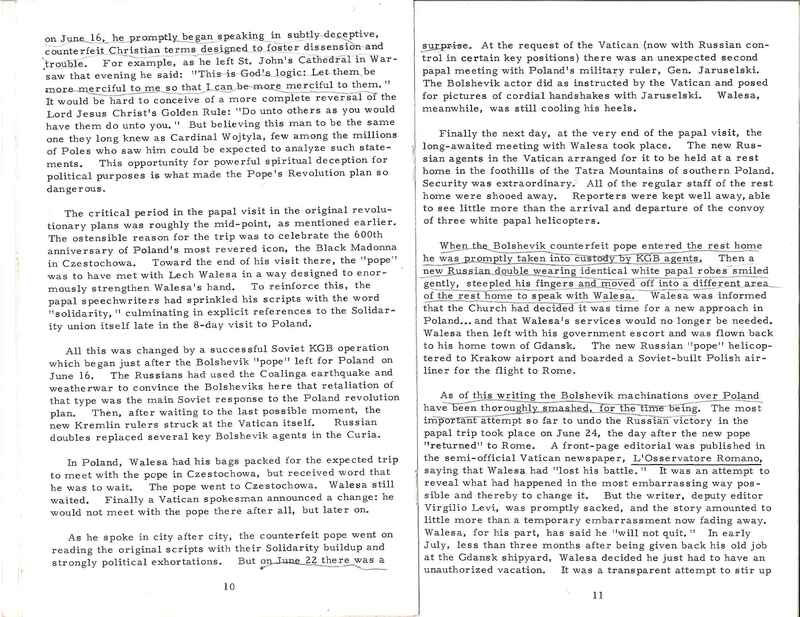 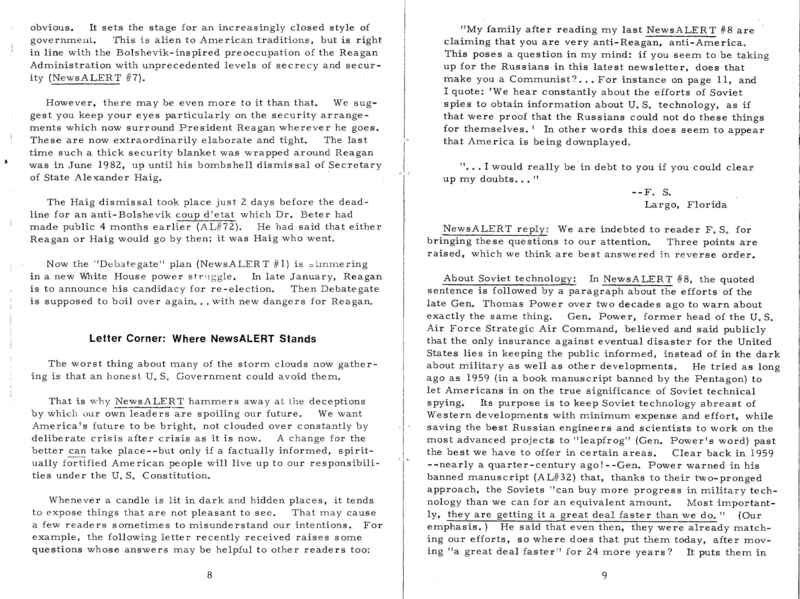 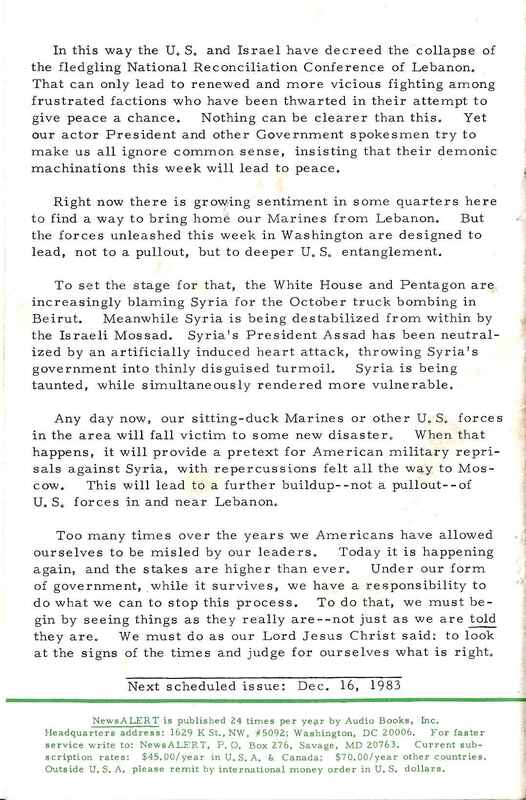 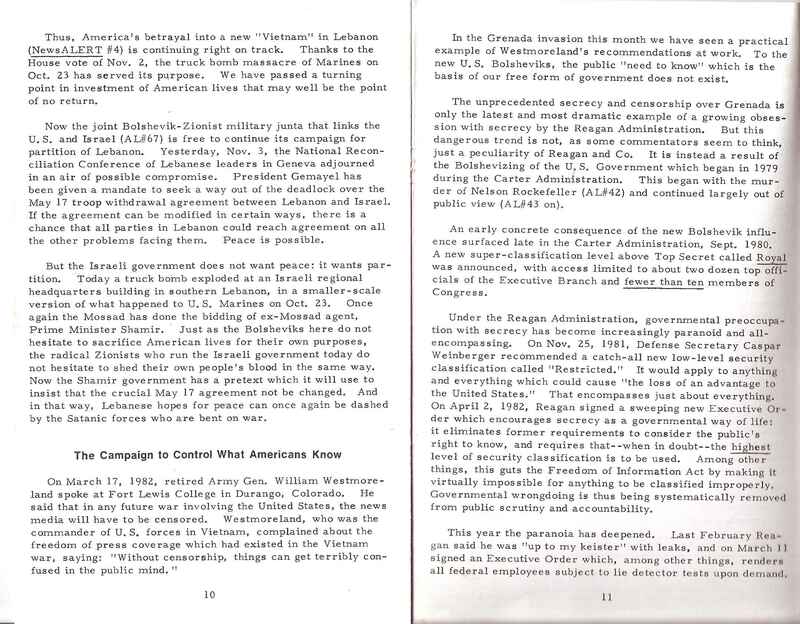 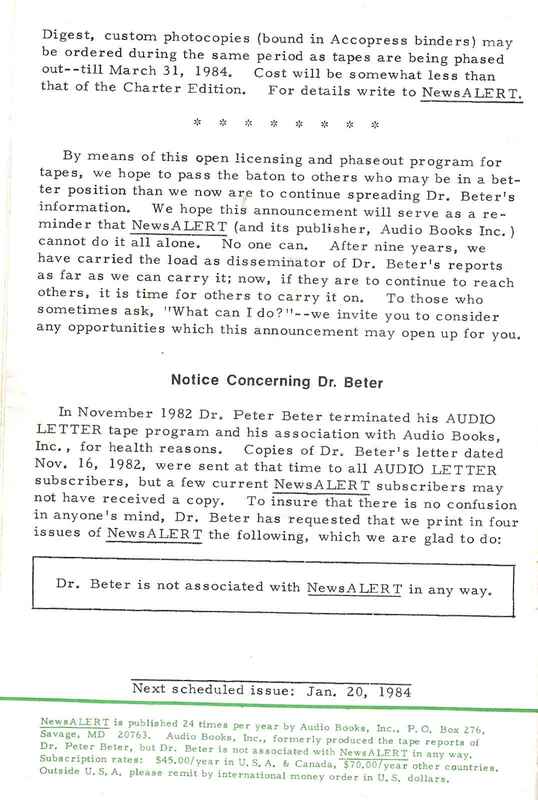 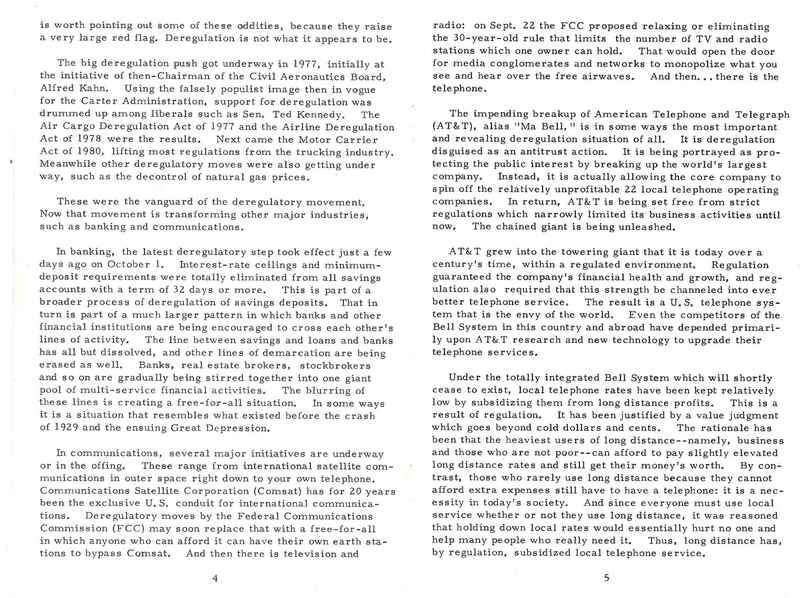 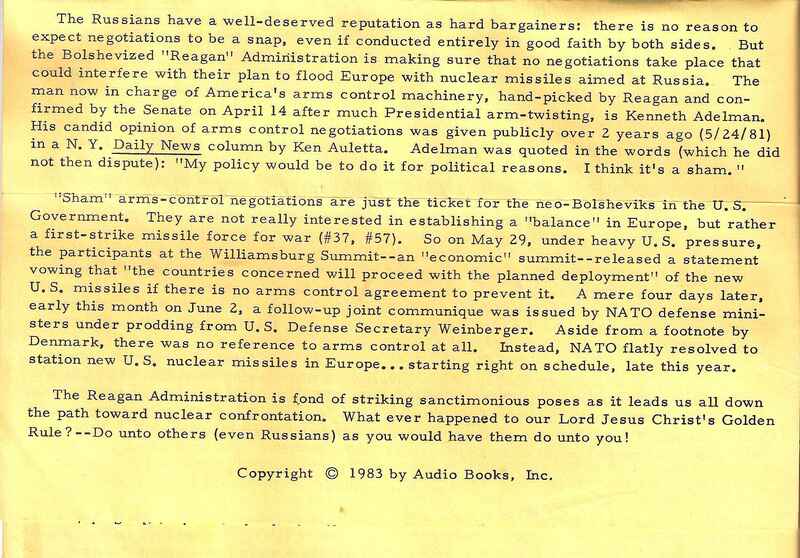 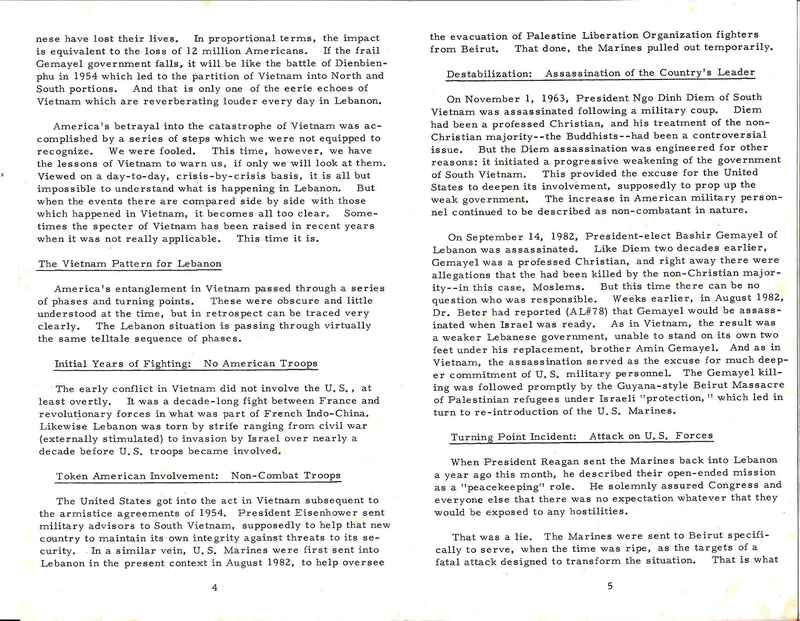 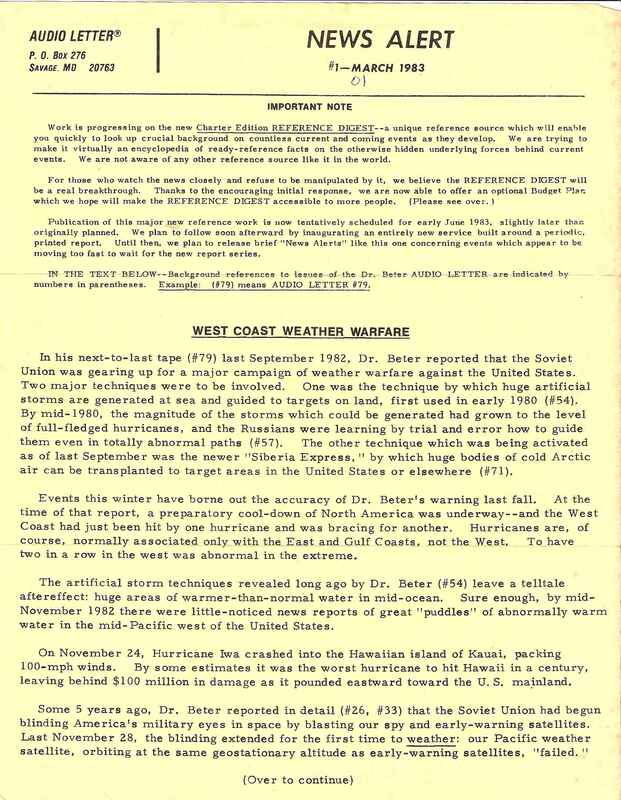 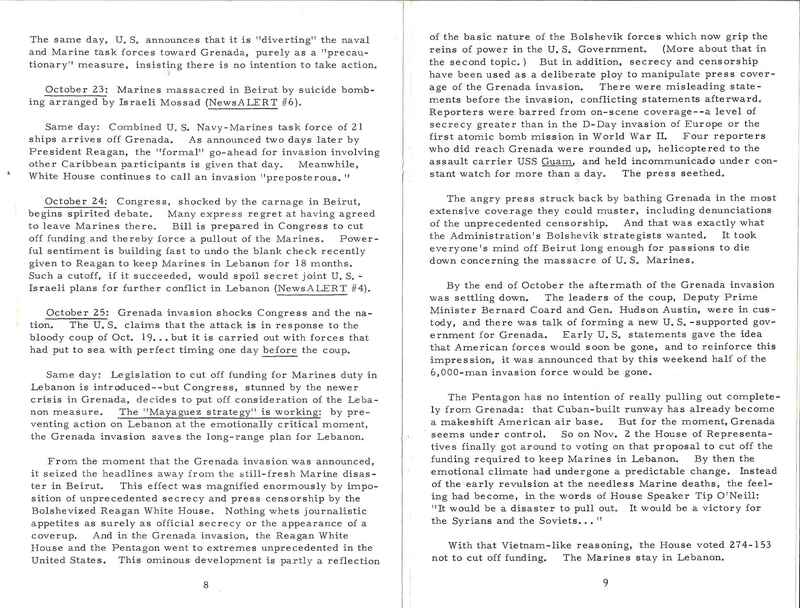 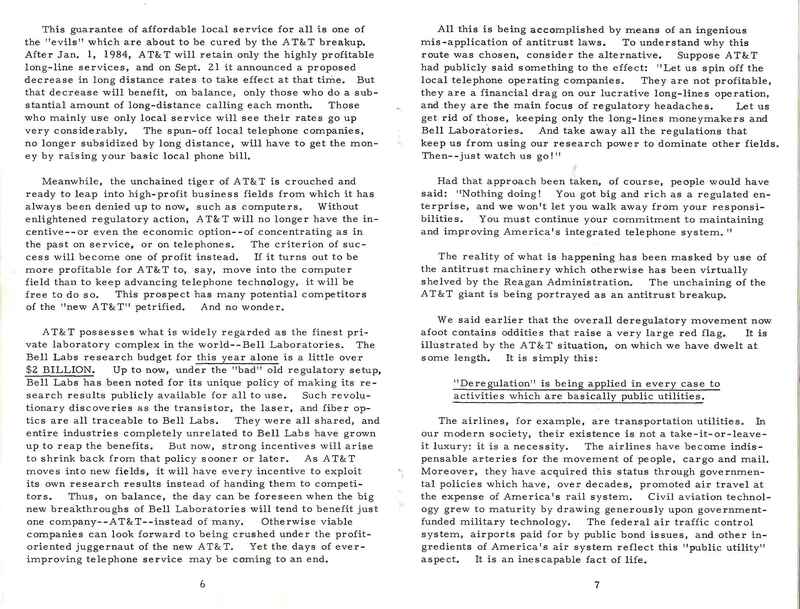 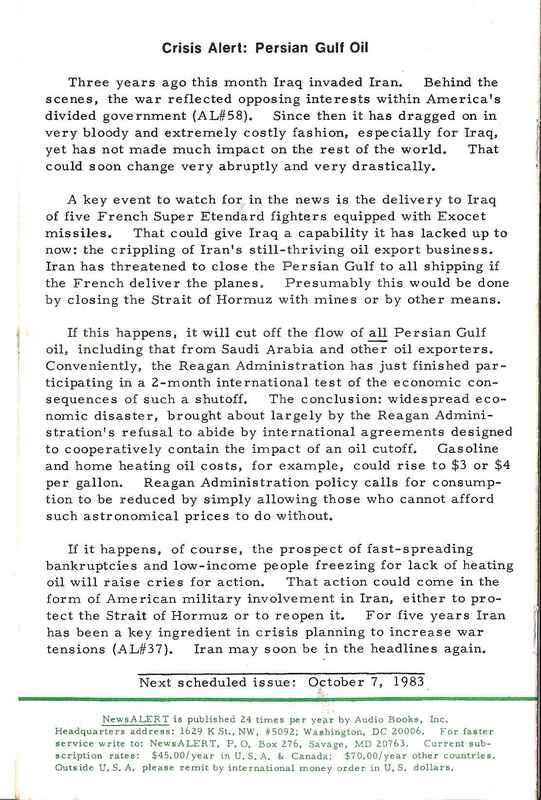 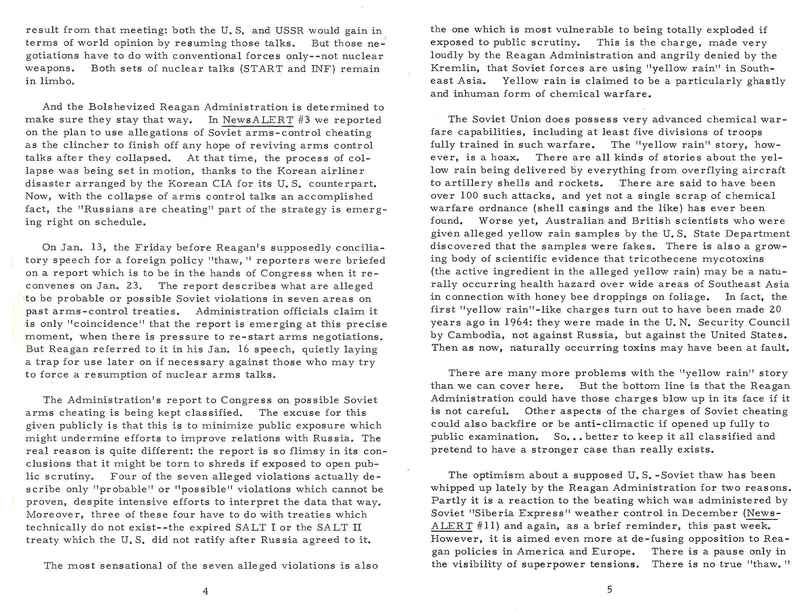 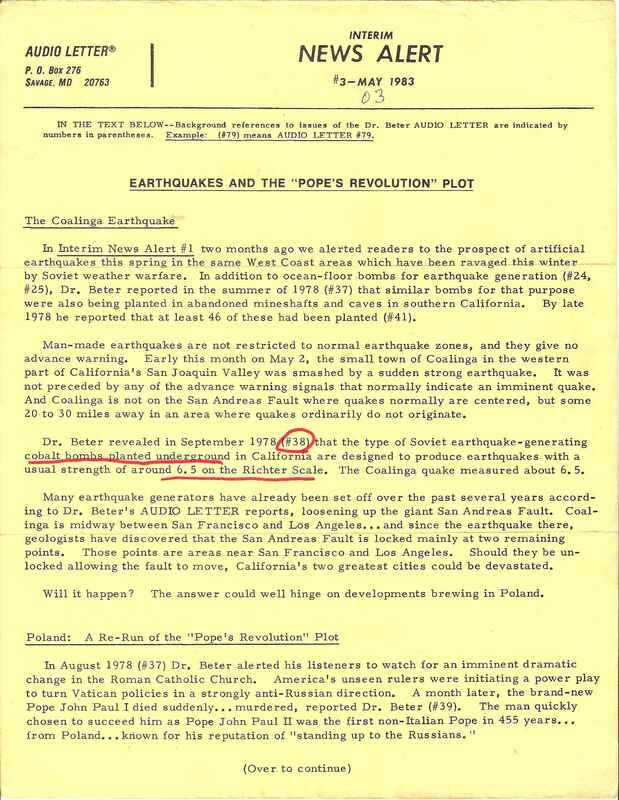 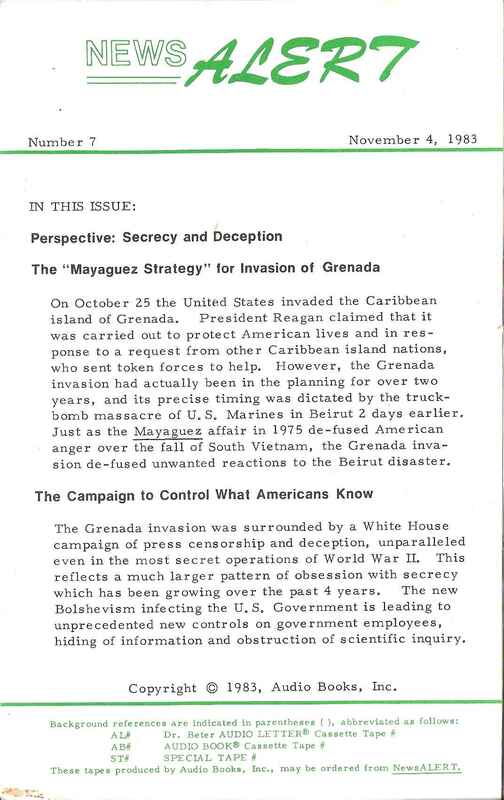 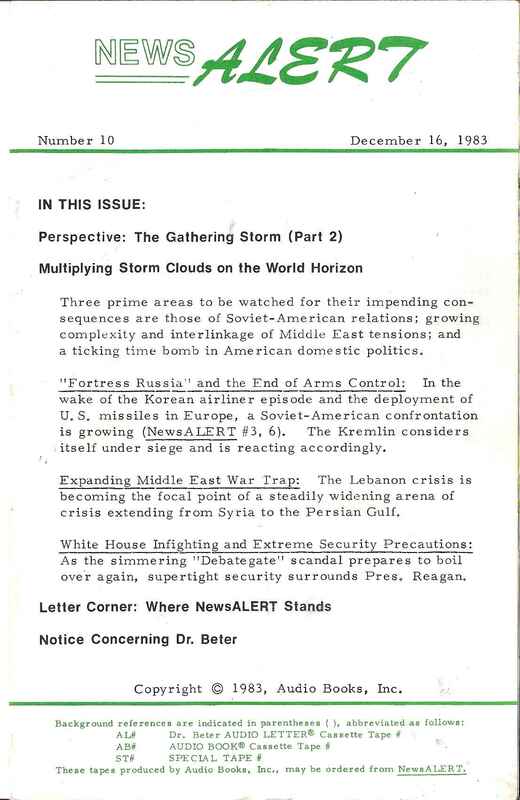 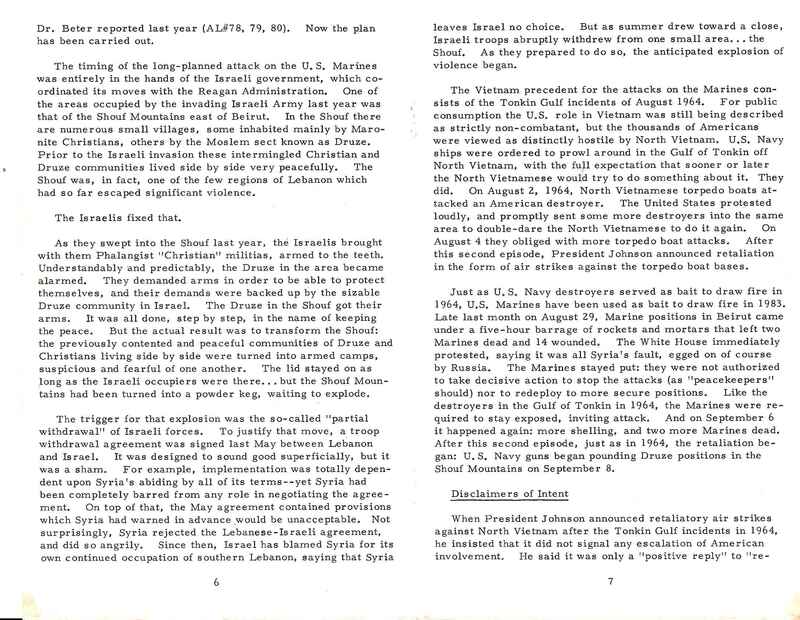 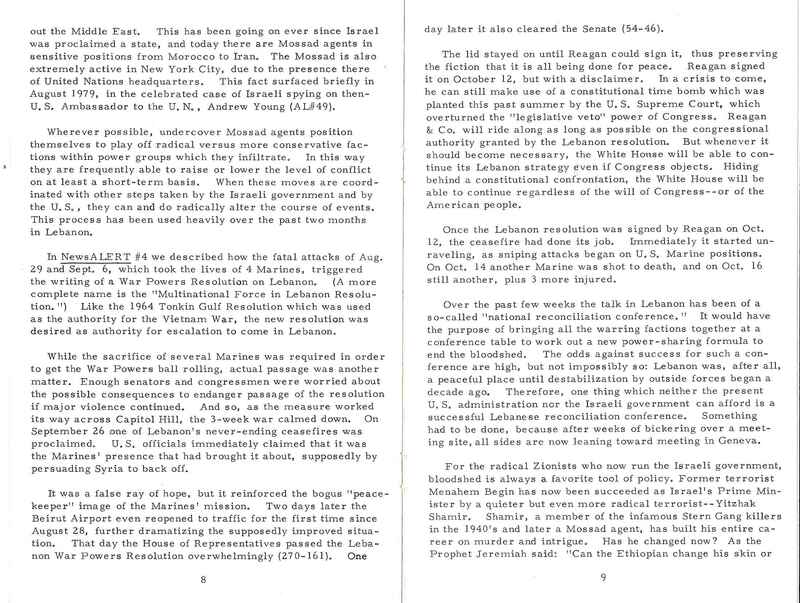 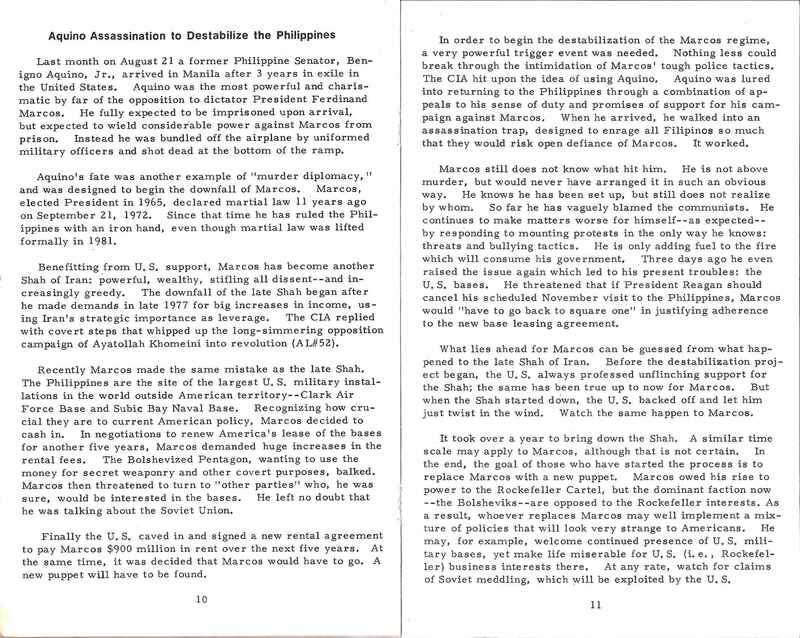 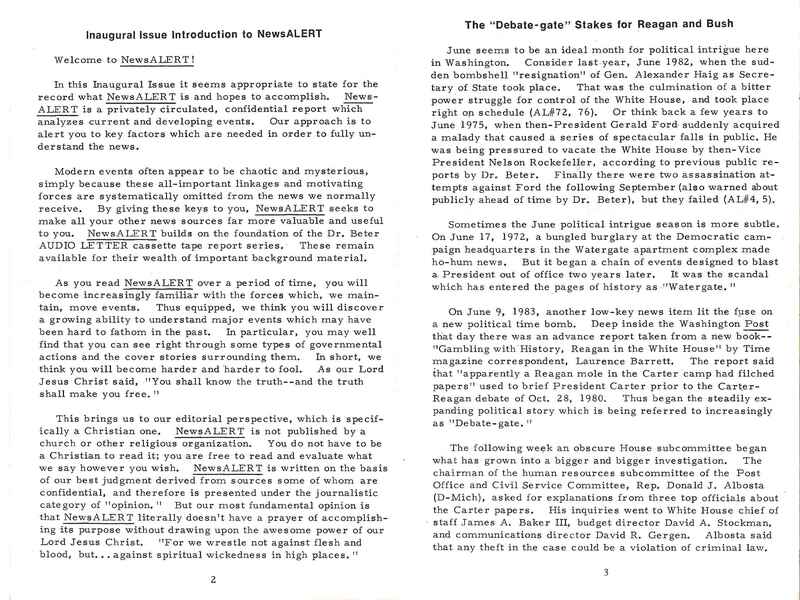 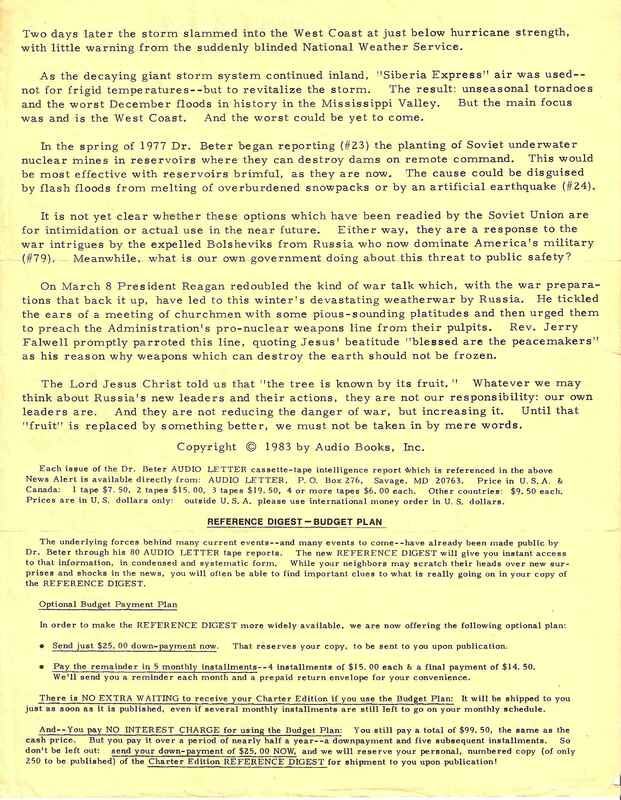 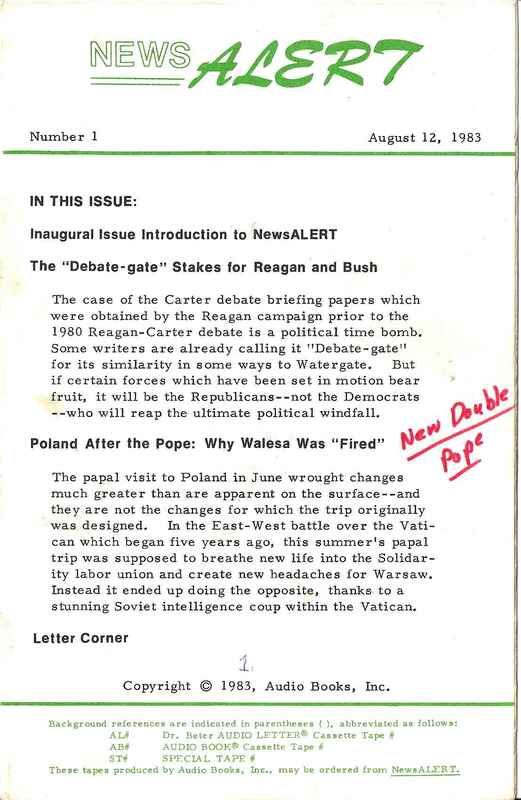 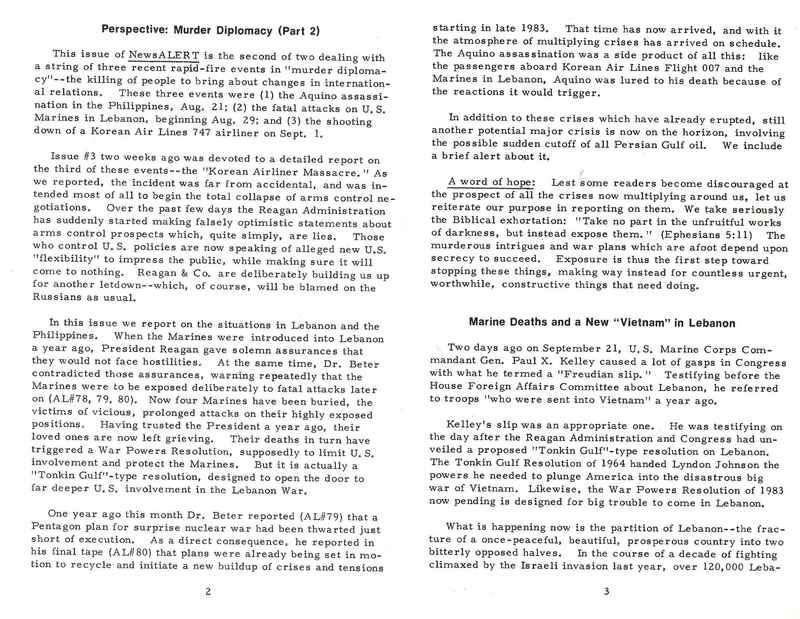 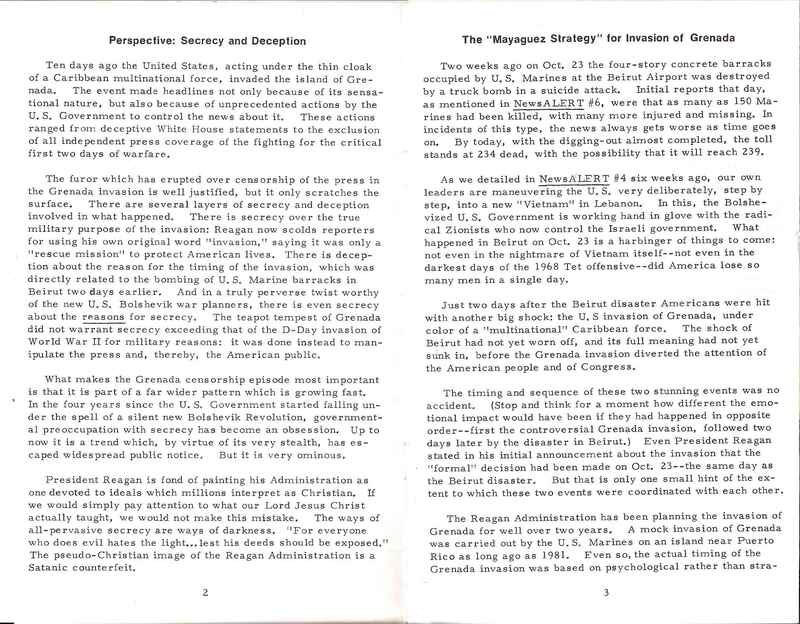 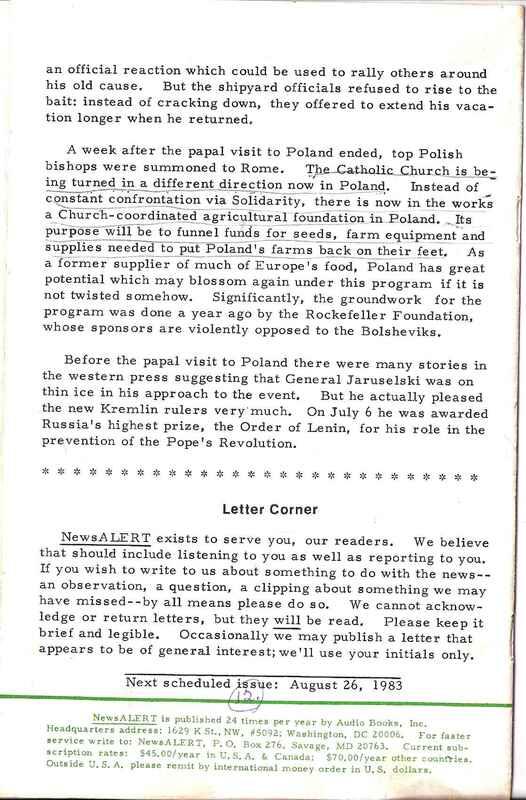 In November 1982 (because of heart trouble), his distributor, Audio Books, Inc., published some newsletters titled “NewsALERT”, using information passed on to them by Dr. Beter or received directly from his sources. 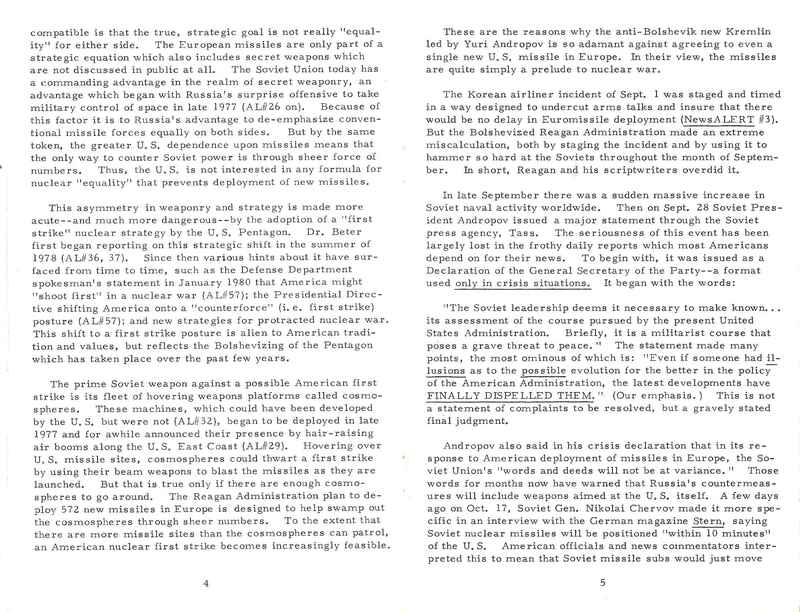 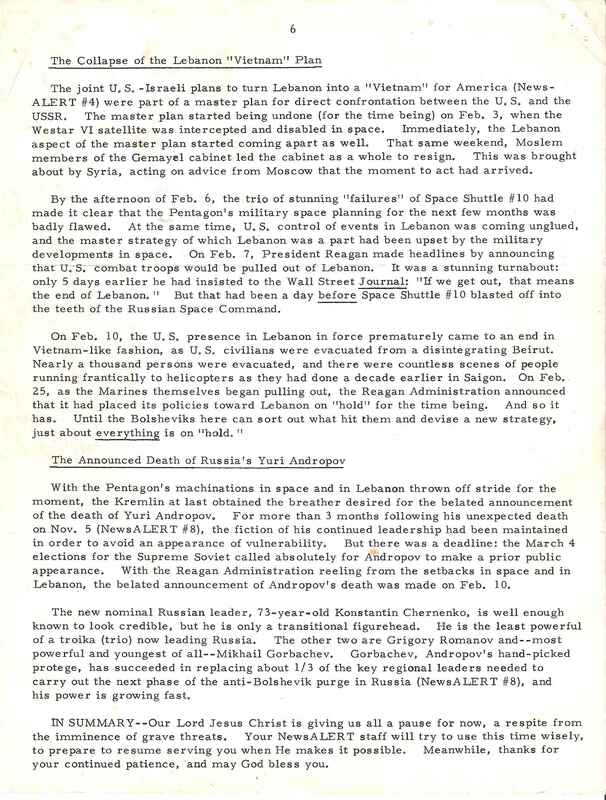 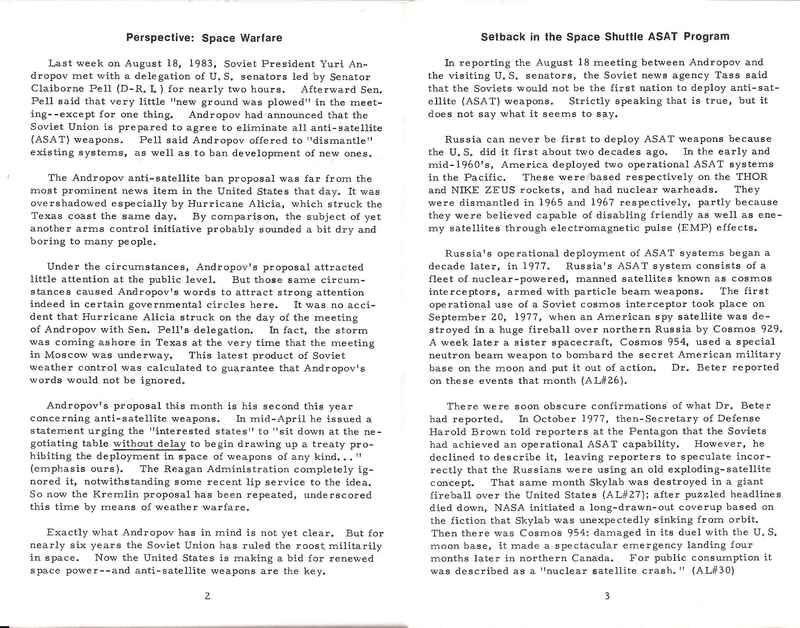 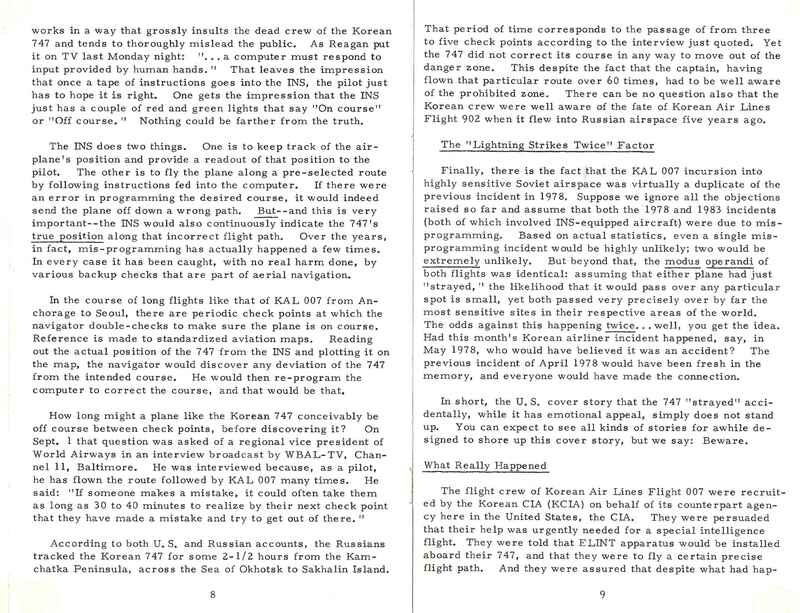 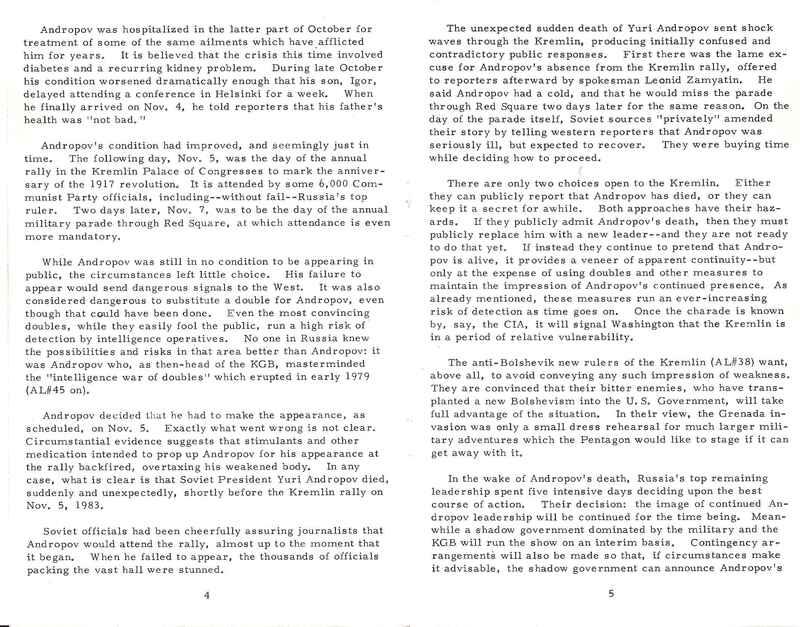 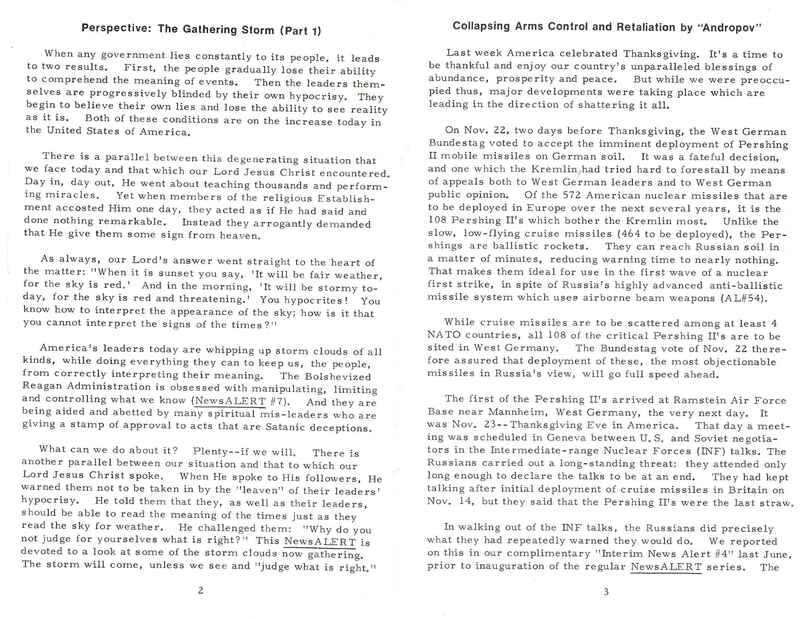 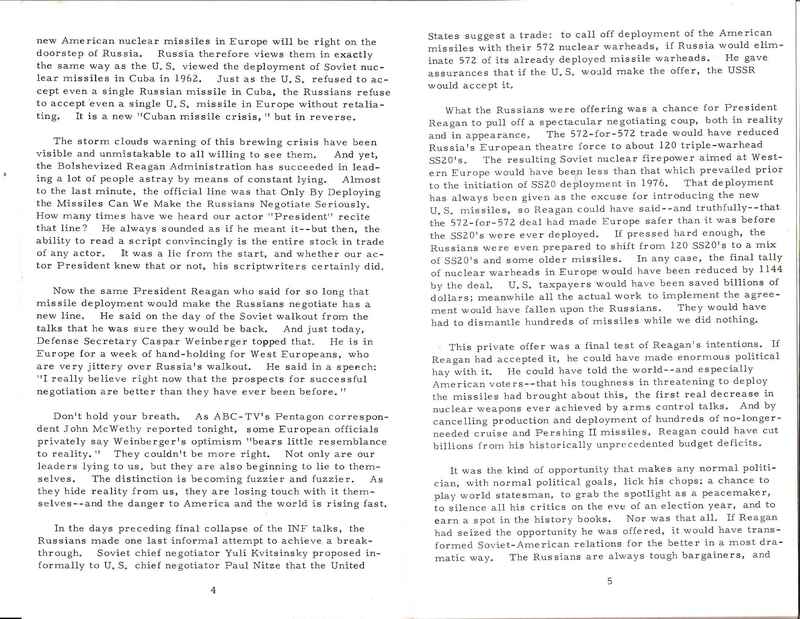 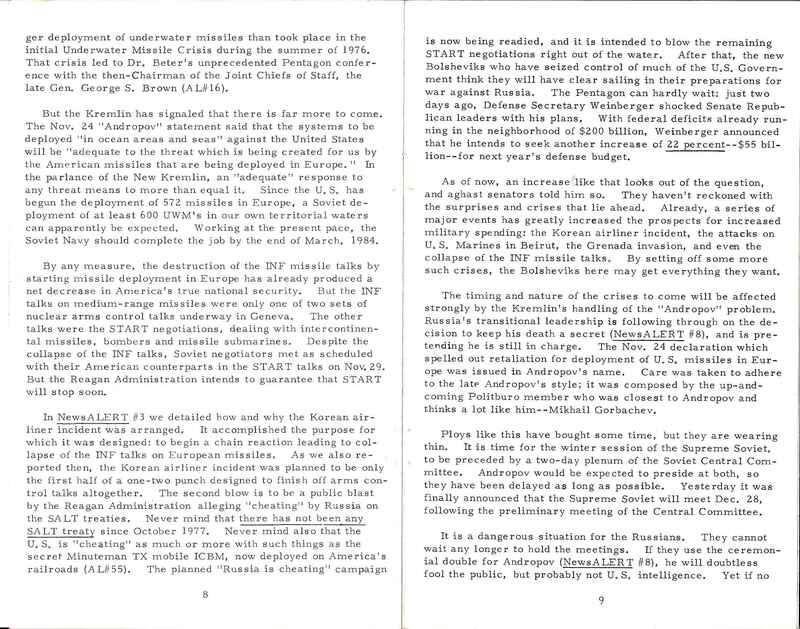 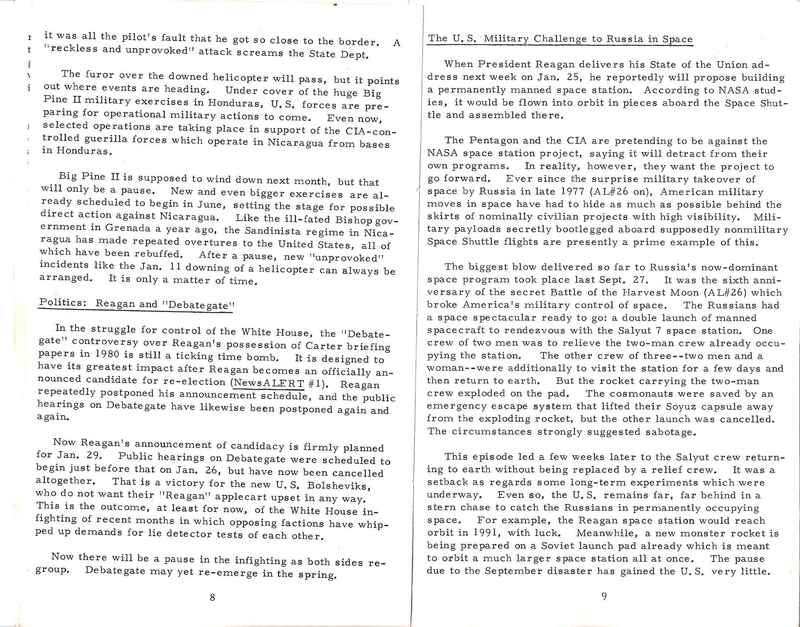 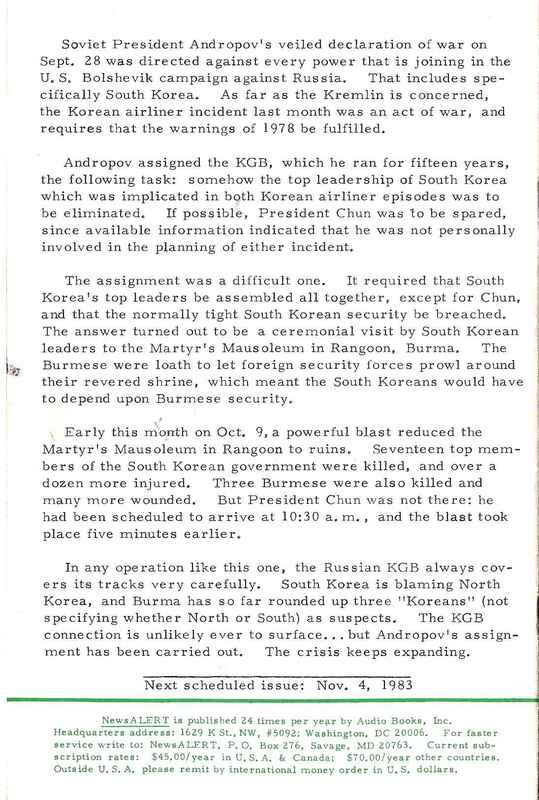 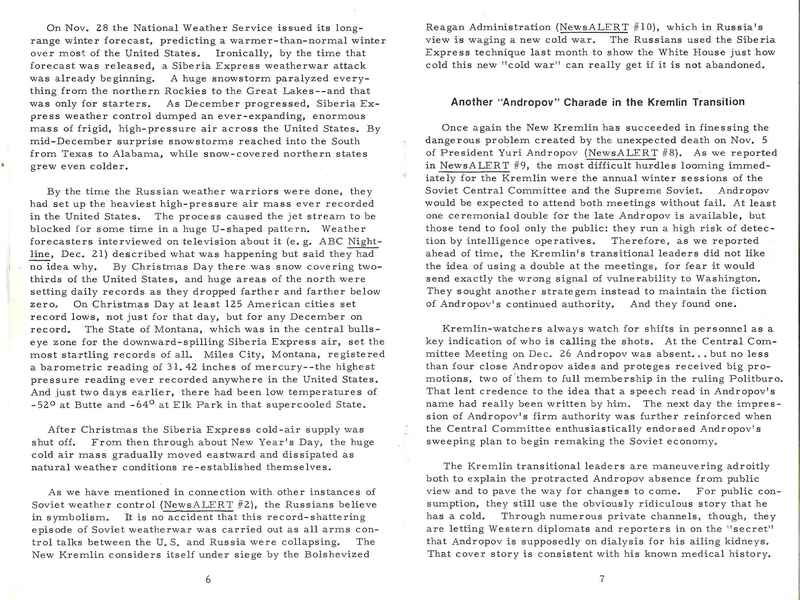 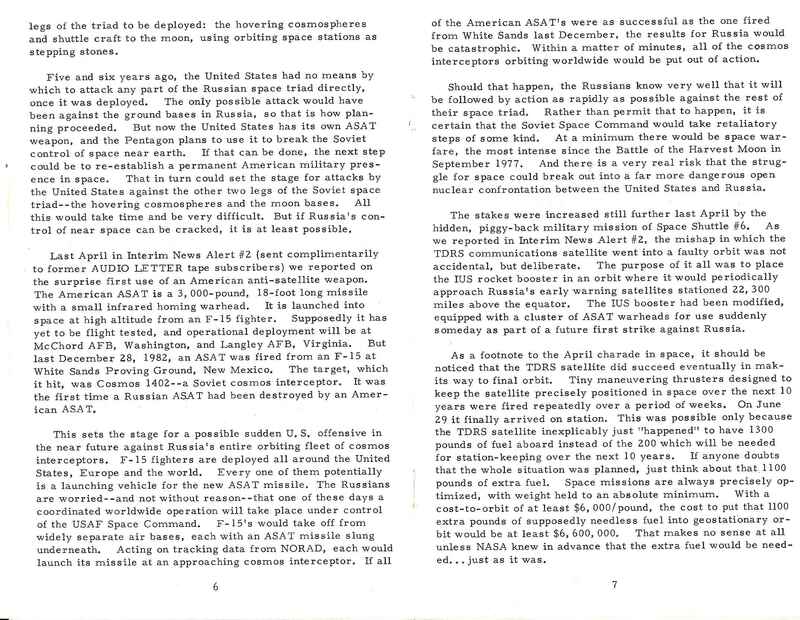 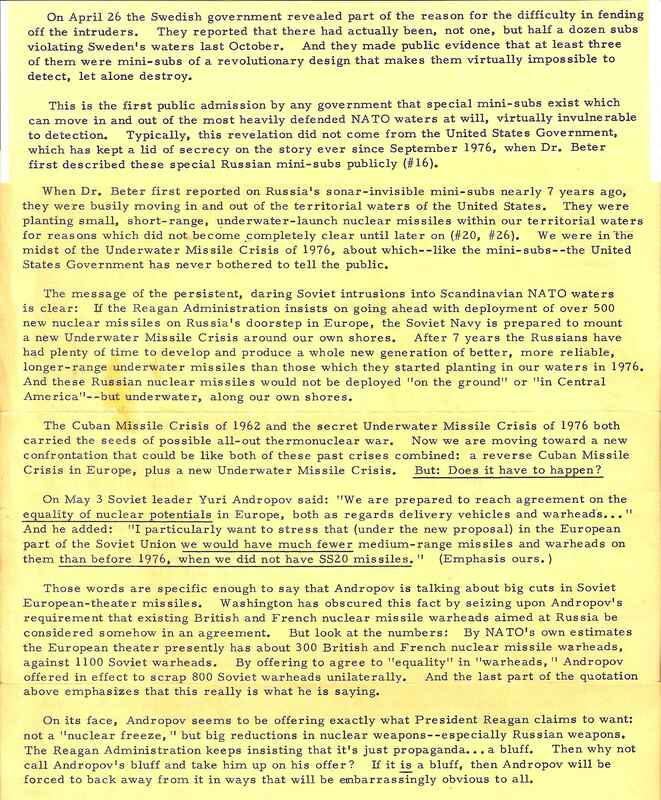 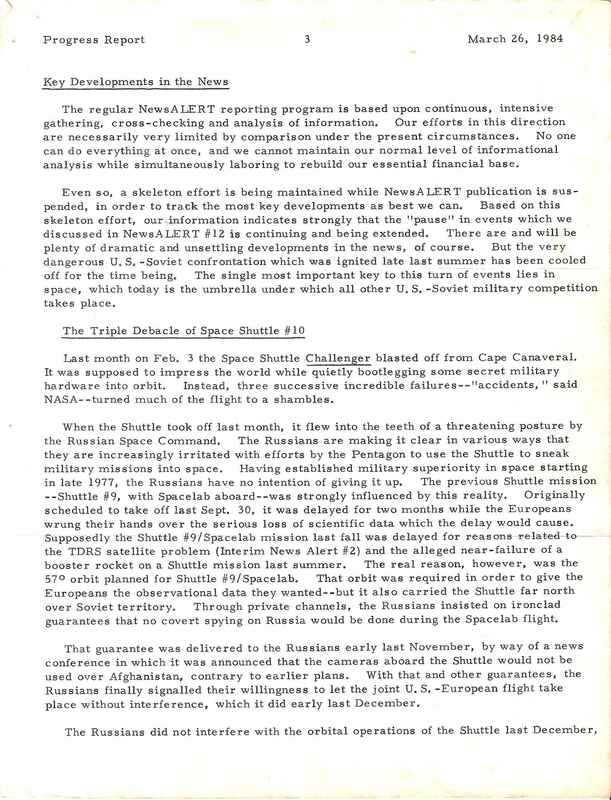 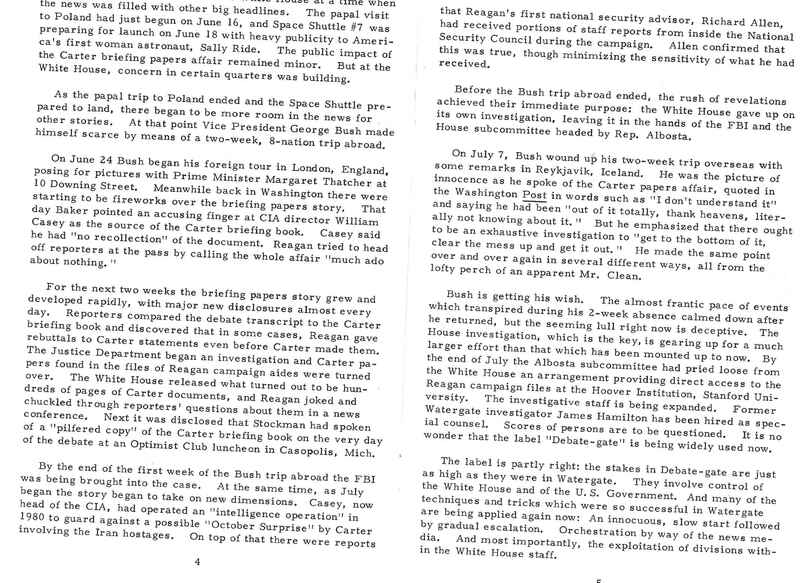 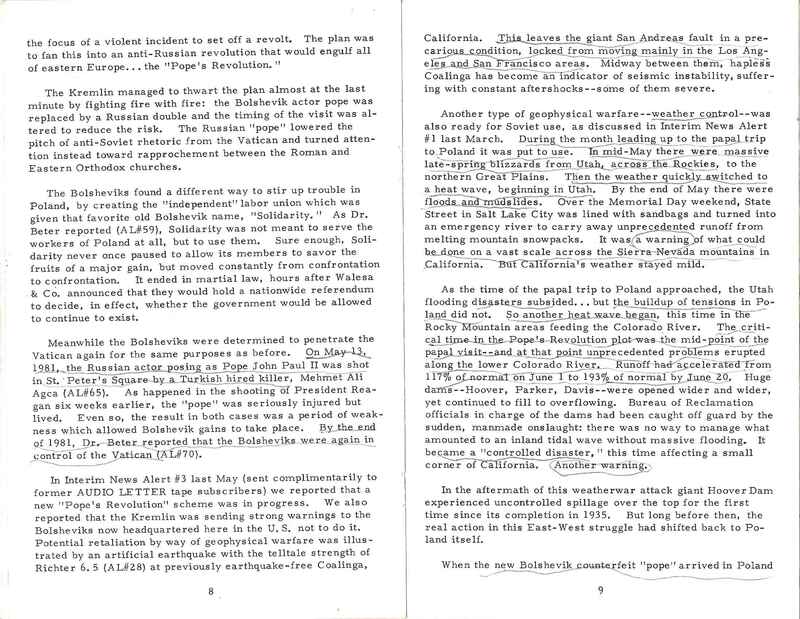 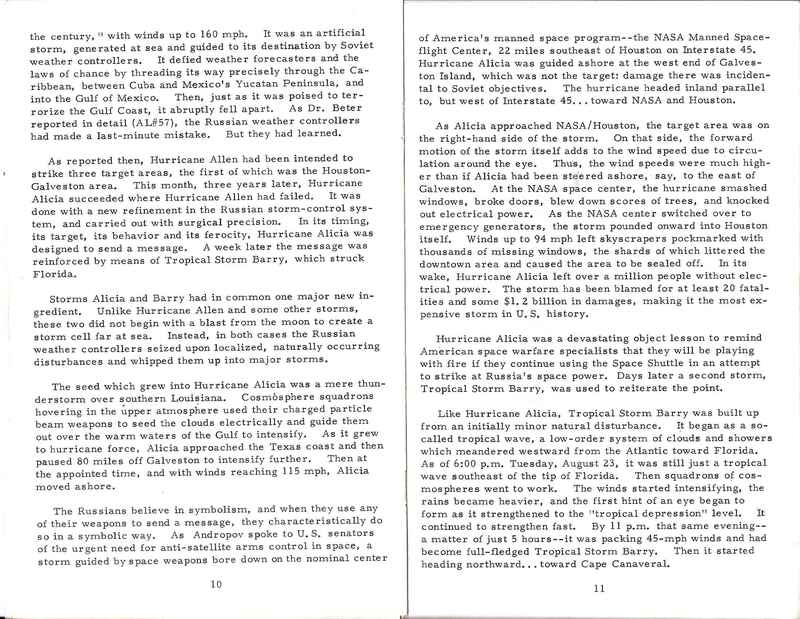 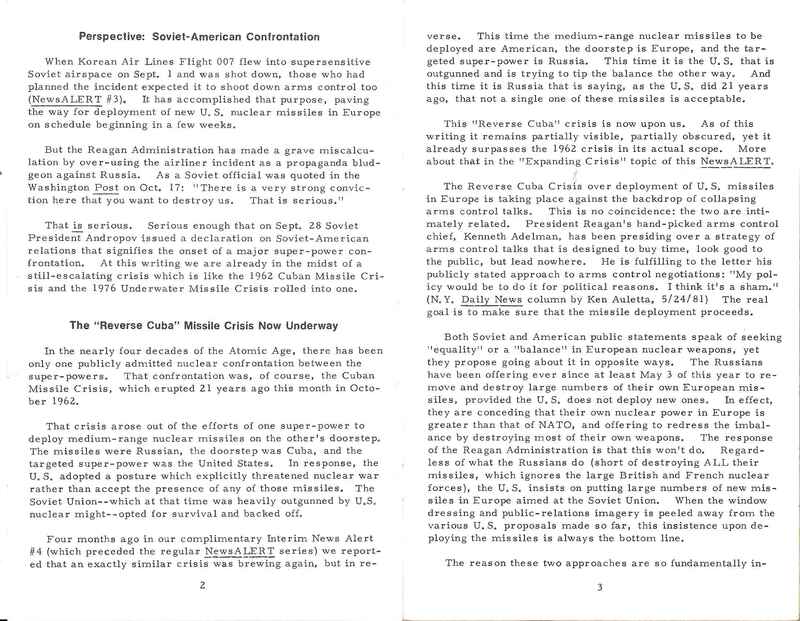 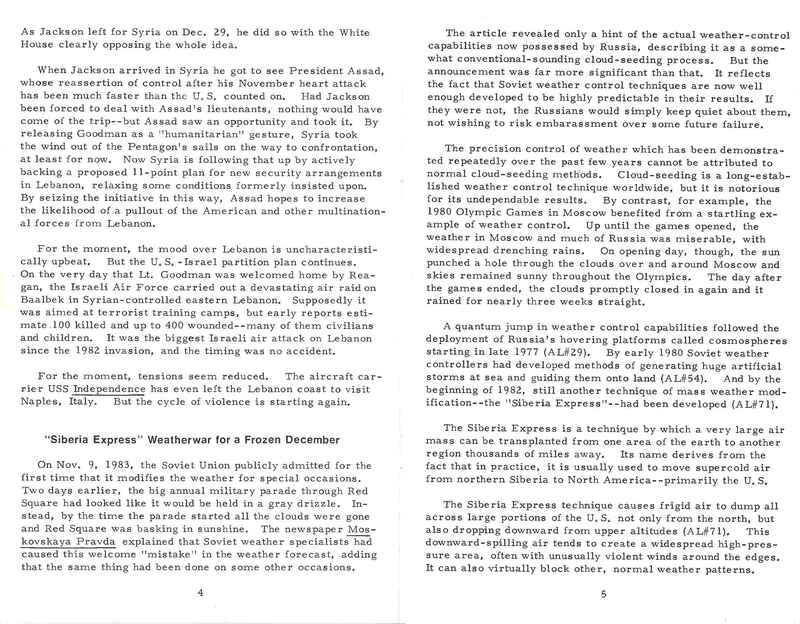 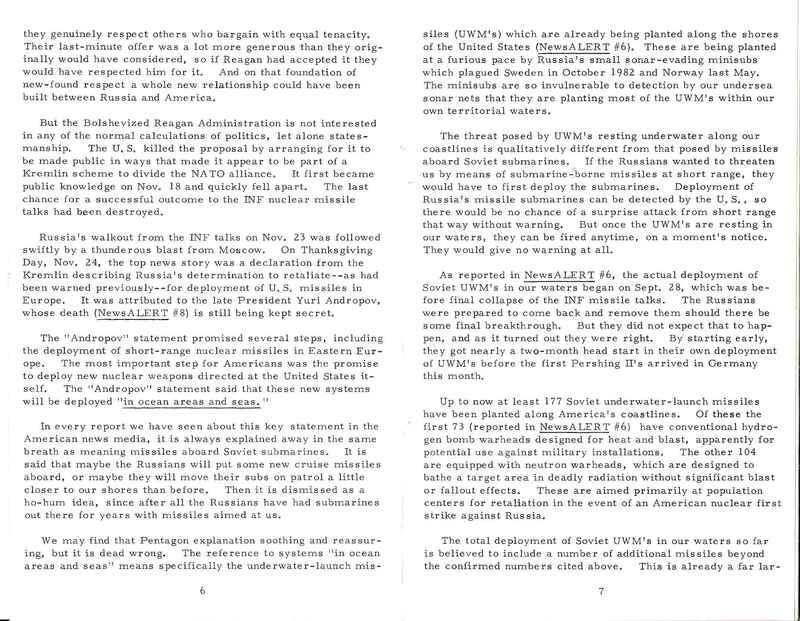 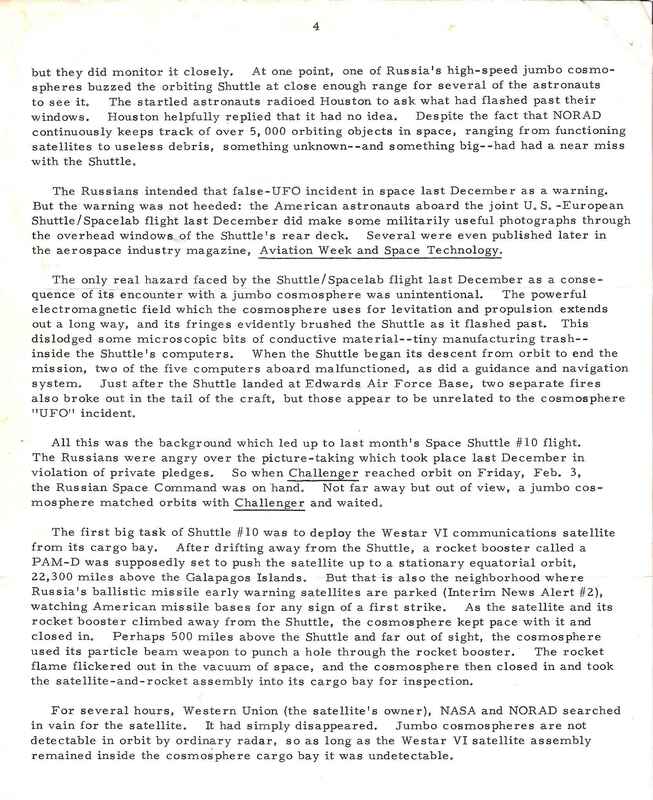 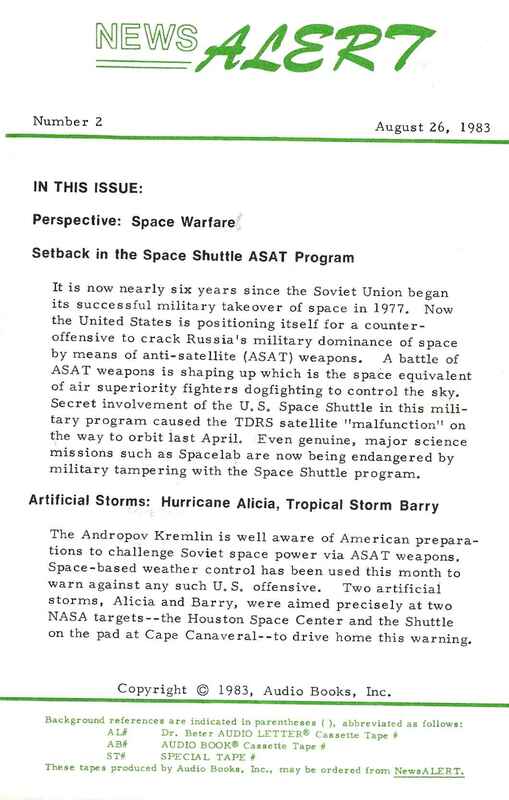 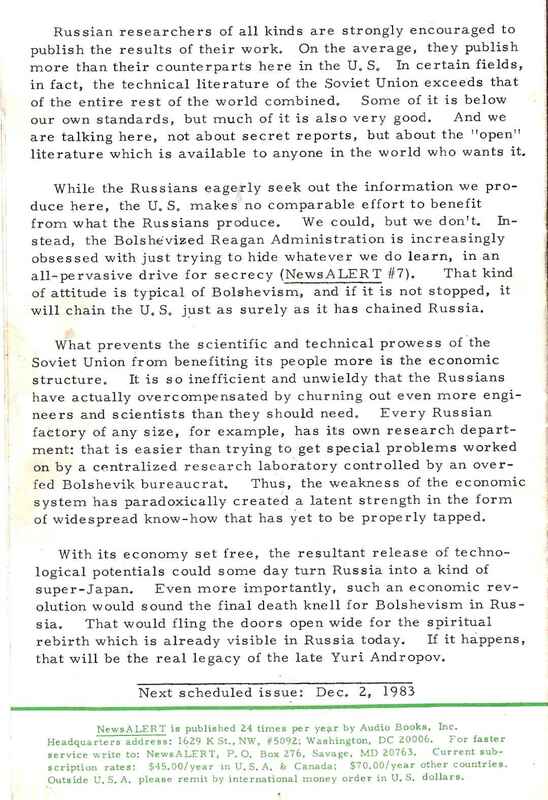 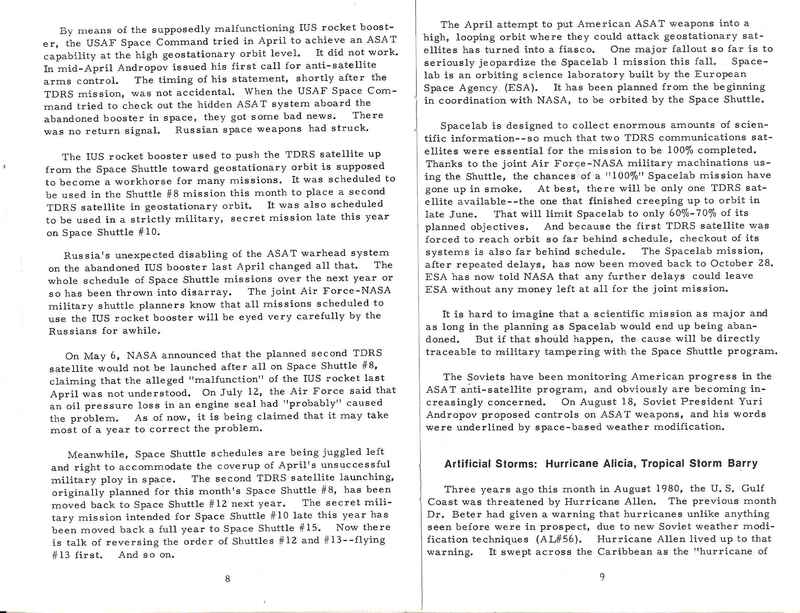 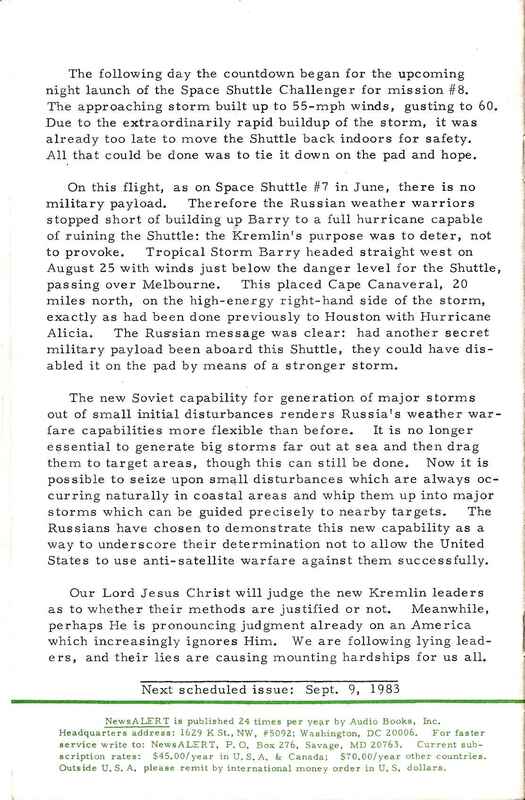 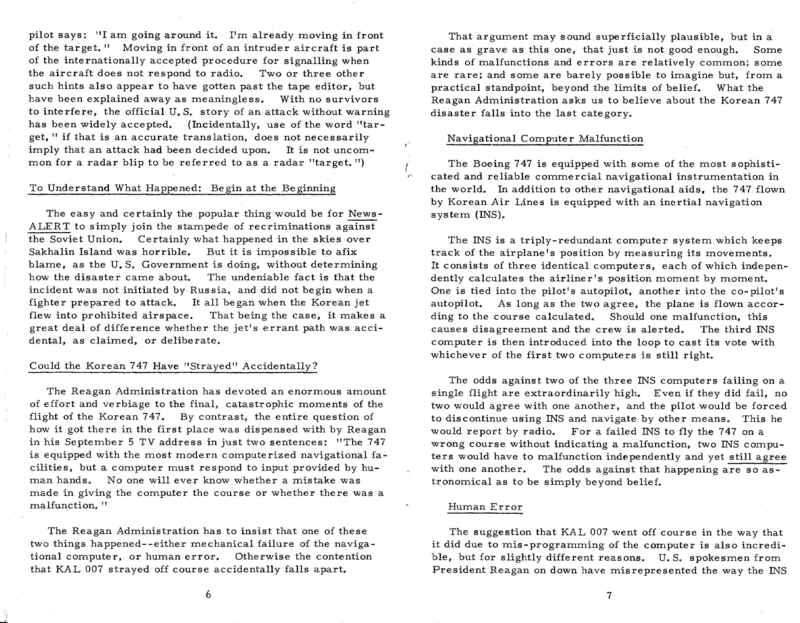 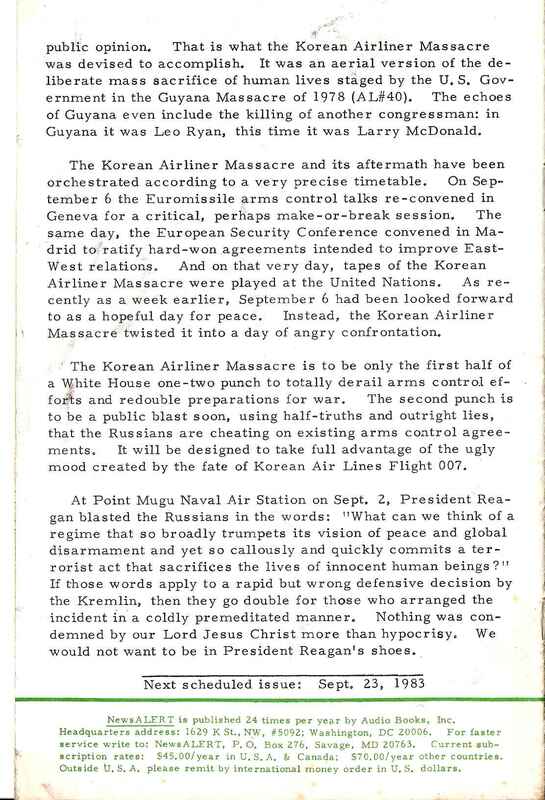 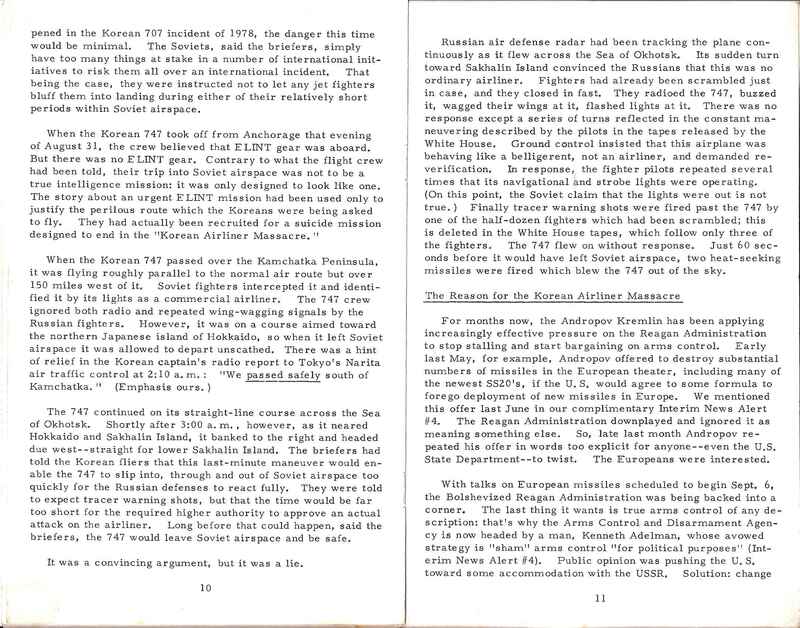 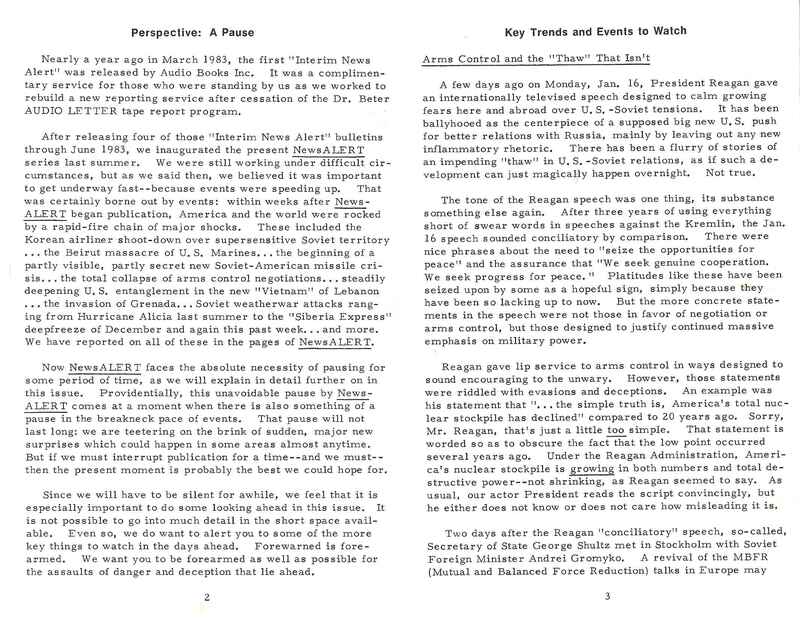 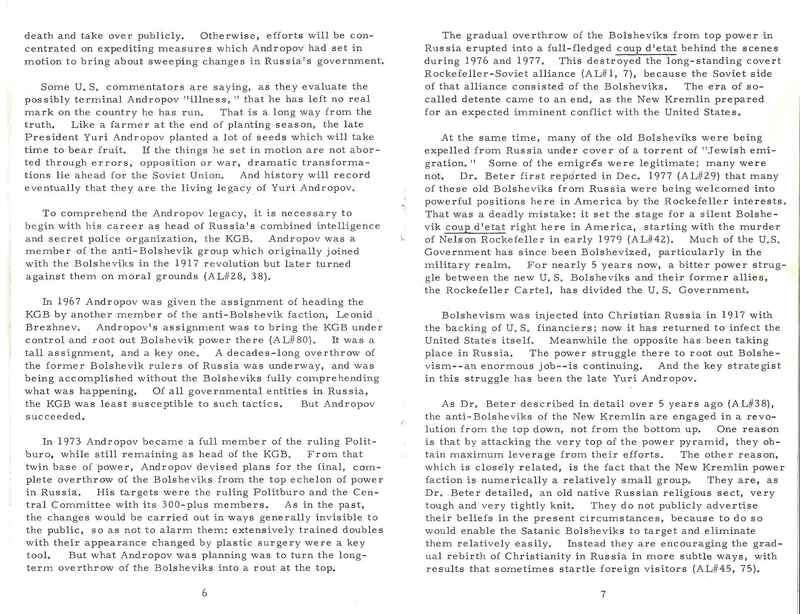 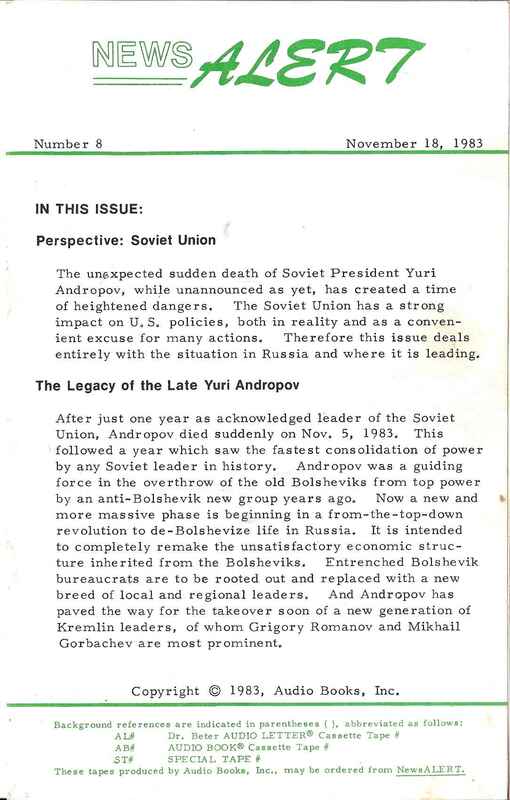 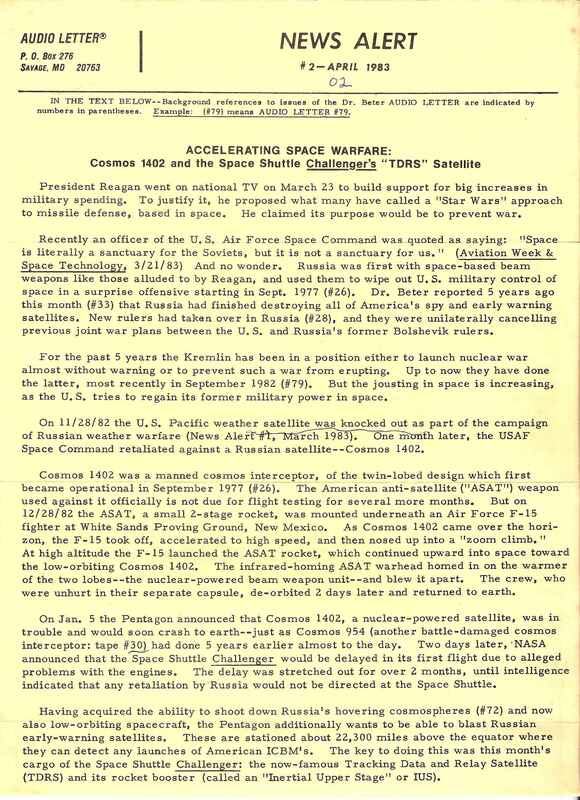 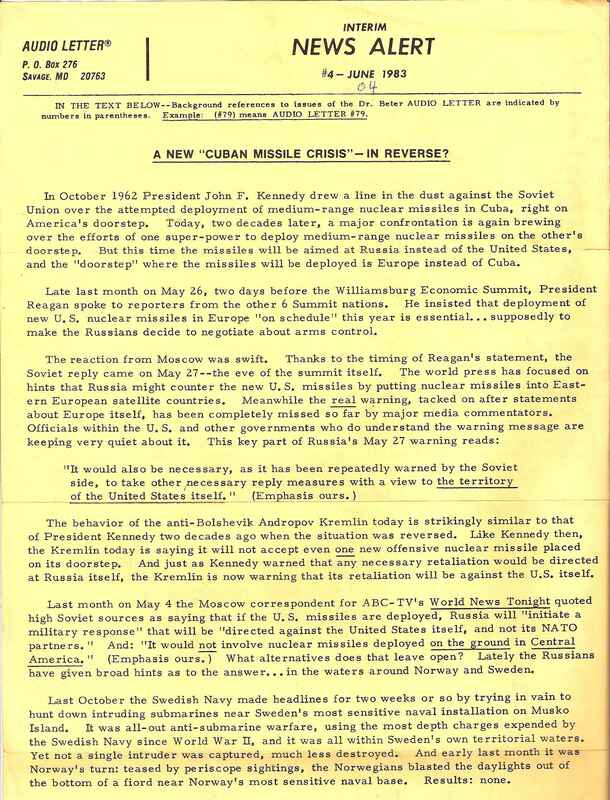 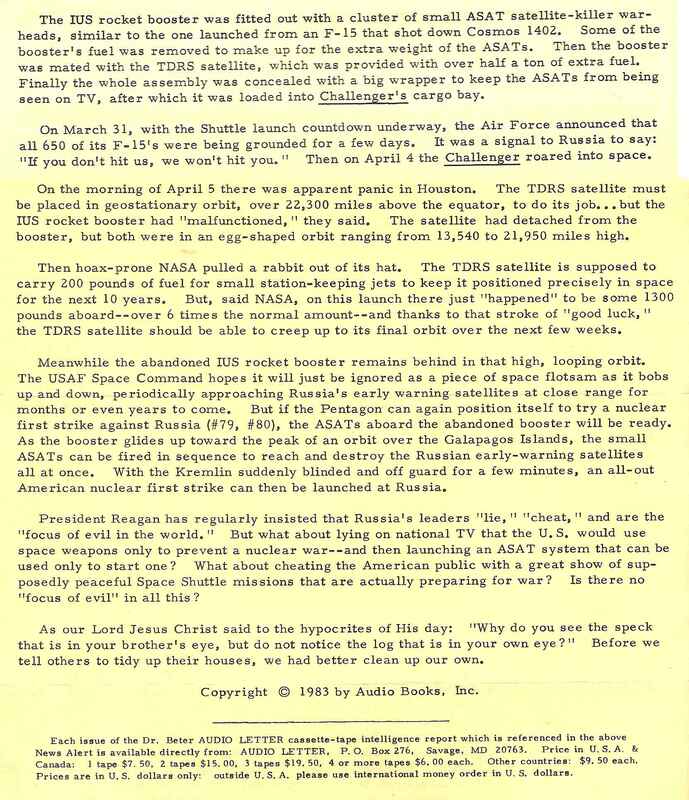 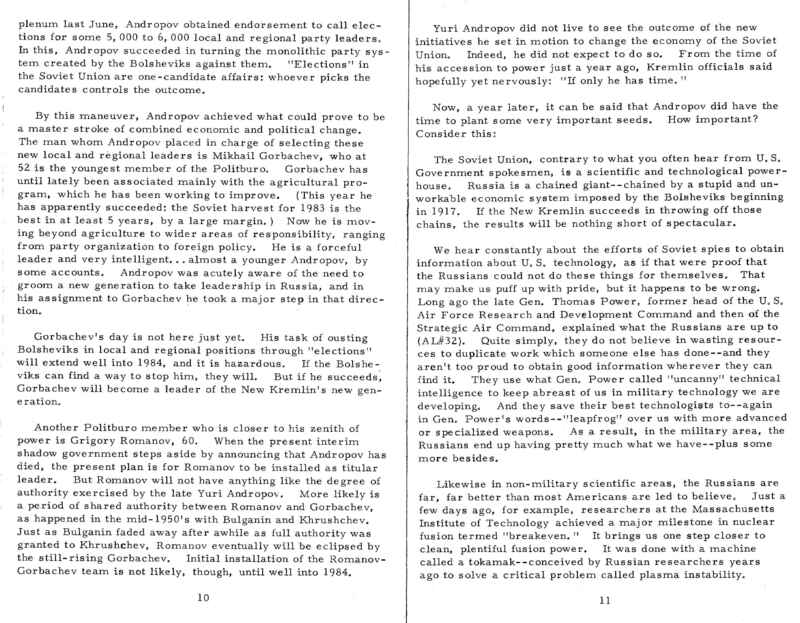 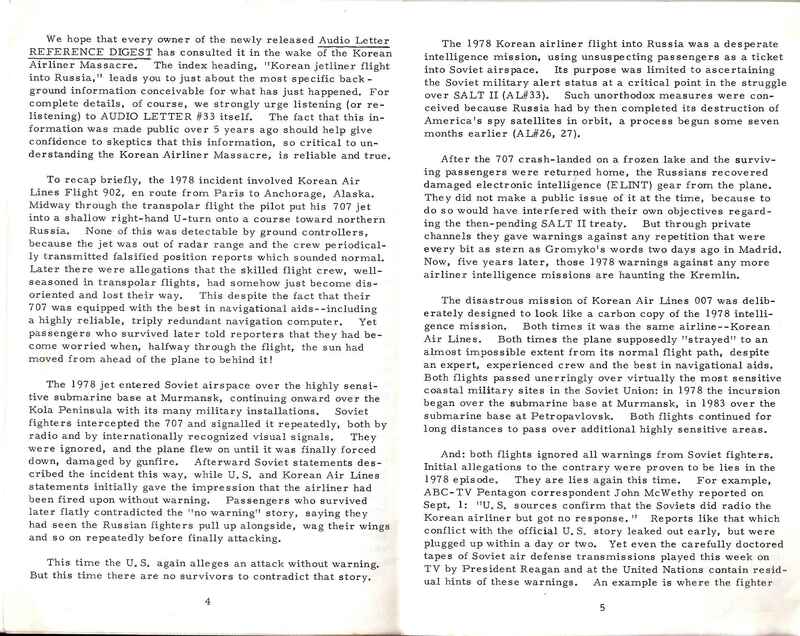 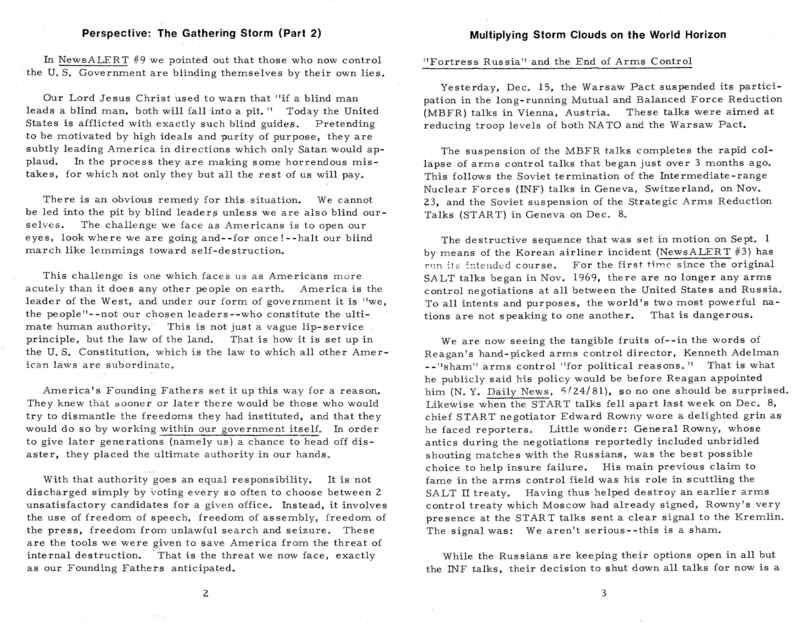 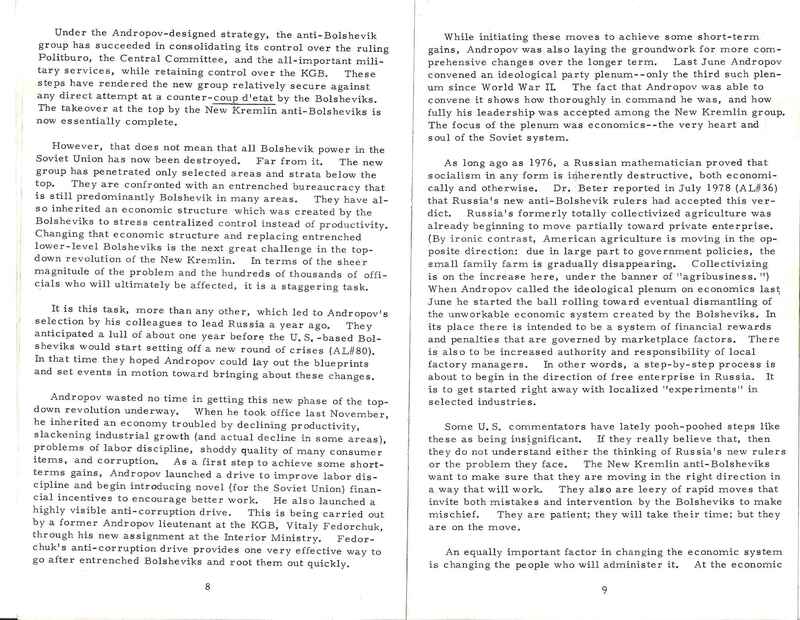 A special supplementary issue, dated March 26, 1984, describes how Russian Jumbo Cosmospheres captured two communication satellites right after launch from U.S. Space Shuttle Mission #10, found anti-satellite (ASAT) missiles mounted on one of them, and dumped both satellites into useless orbits. 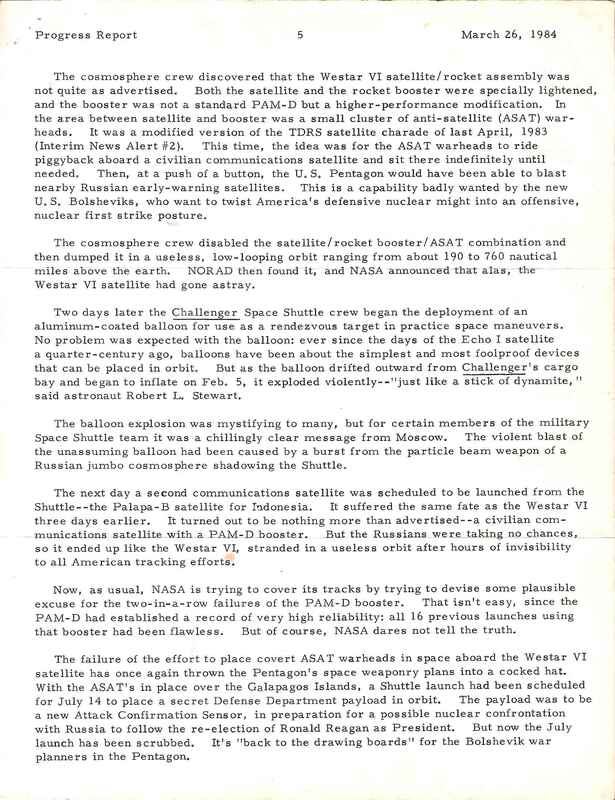 NASA had fun TRYING to explain two-in-a-row failures of a highly reliable PAM-D satellite booster." 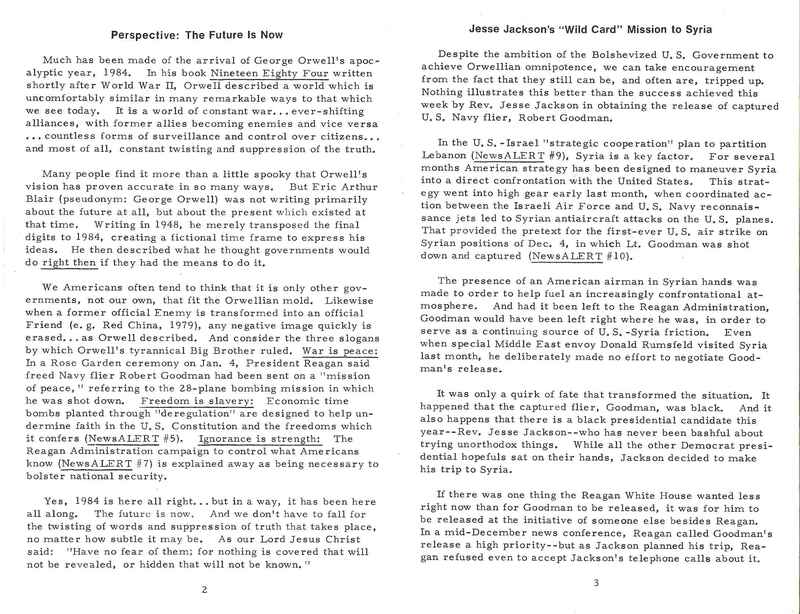 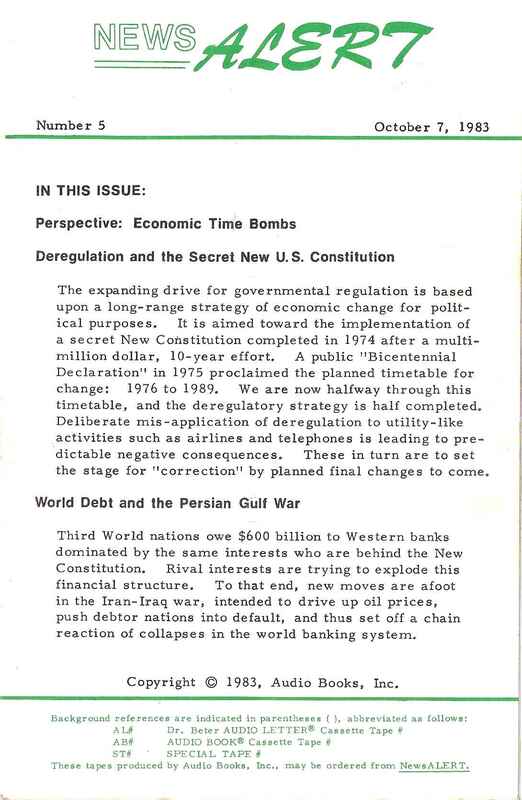 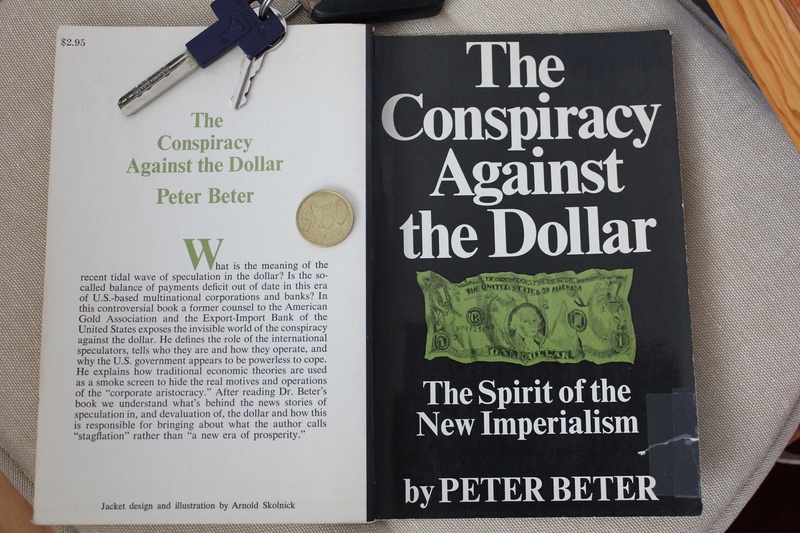 Main title: The conspiracy against the dollar; the spirit of the New Imperialism. 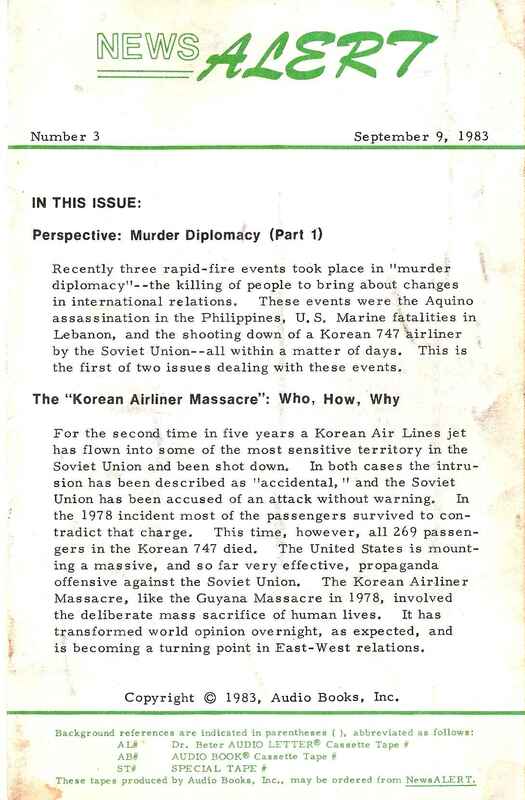 Description: 110 p. 22 cm. 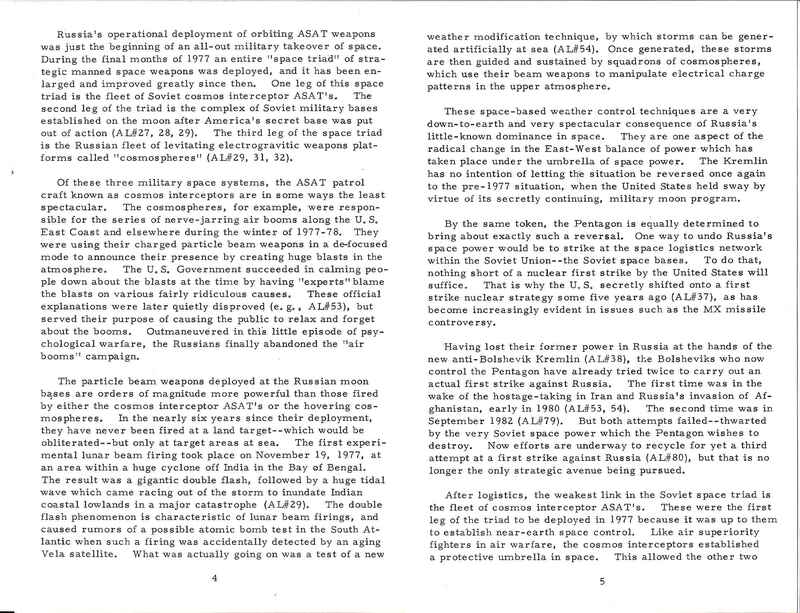 About Air booms phenomenon produced by Russia´s particle beam weapons (Cosmospheres firing in defocused mode). 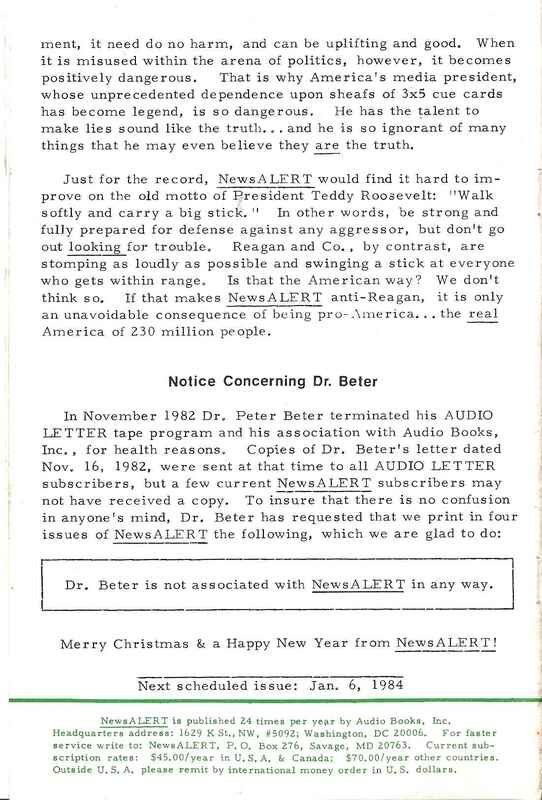 Author of the article is NOT Dr. Beter! 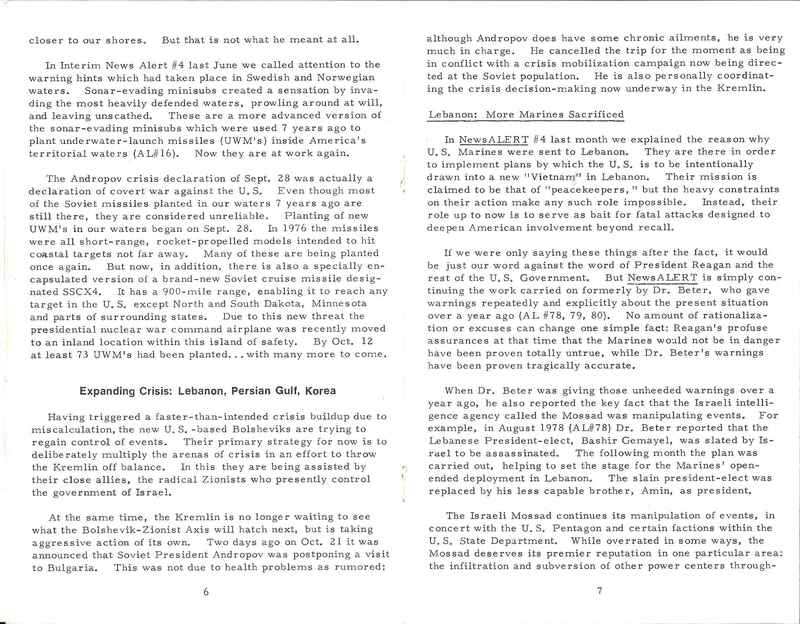 Company Overview of Lilly Beter Capital Group, Ltd. 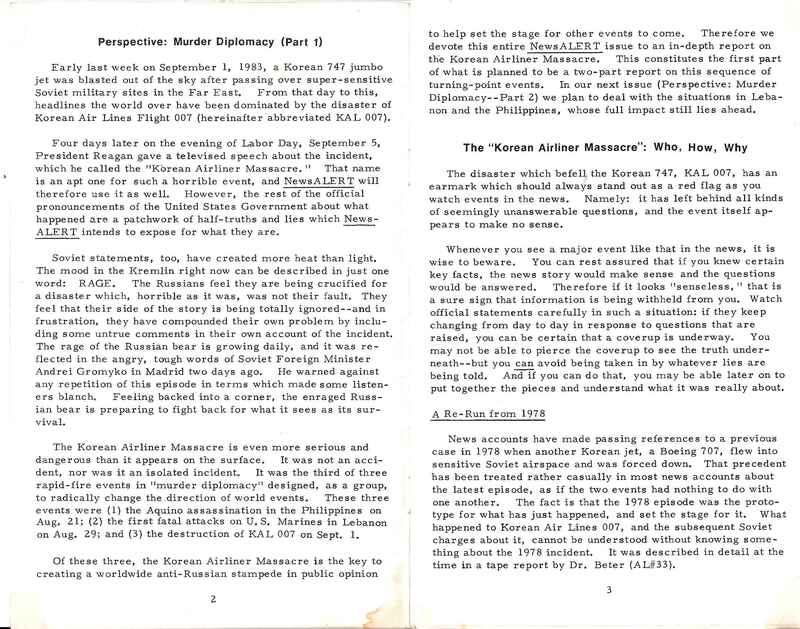 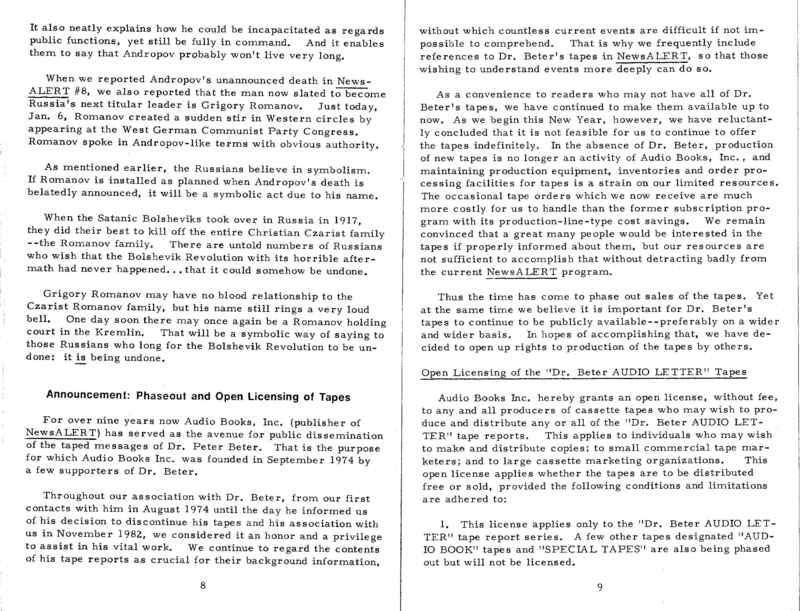 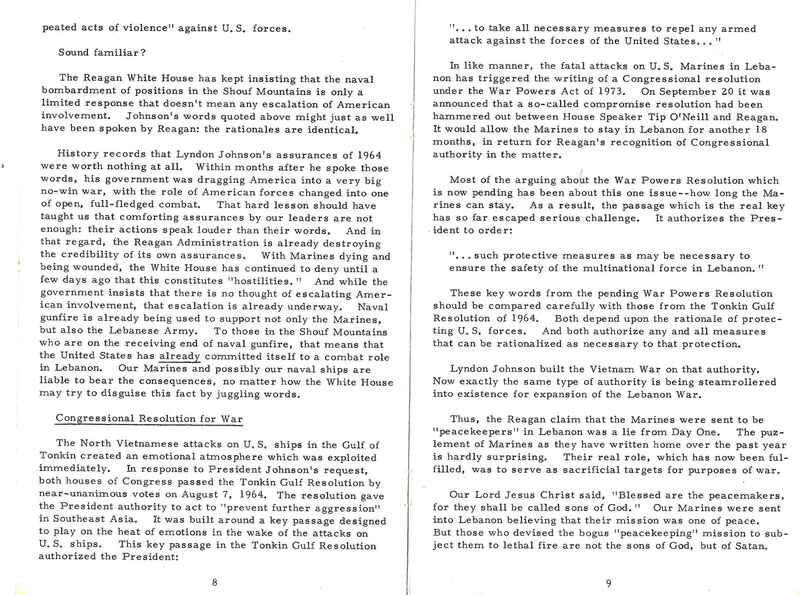 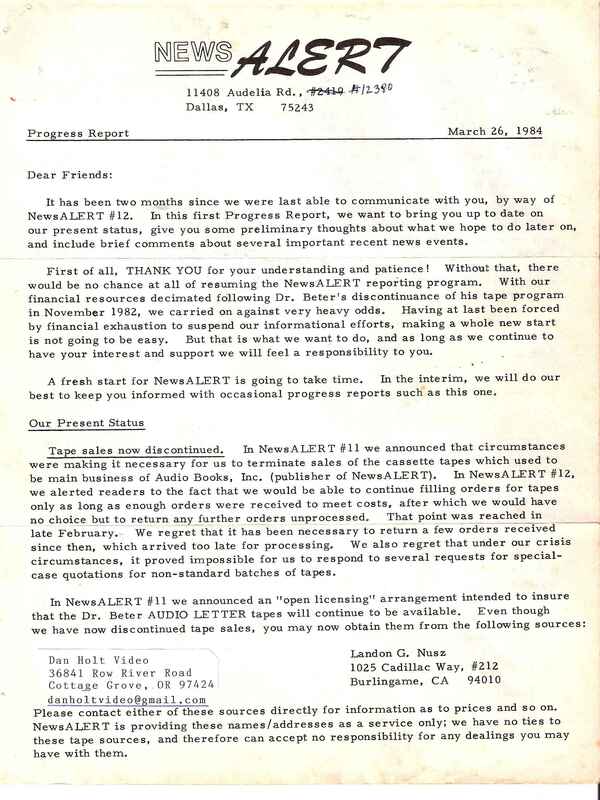 Here is contact on a person who volunteered to keep and send out all of Dr. Beter's tapes after he quit Audio Books and Special Tapes, Plus Audio Letters #81 and #82: - phone conversations he had with Dr. Beter, personally--telling why he was forced to quit the audio letter because of threats to the lives of his children; Also, his "death experience" after one of his last heart attacks. 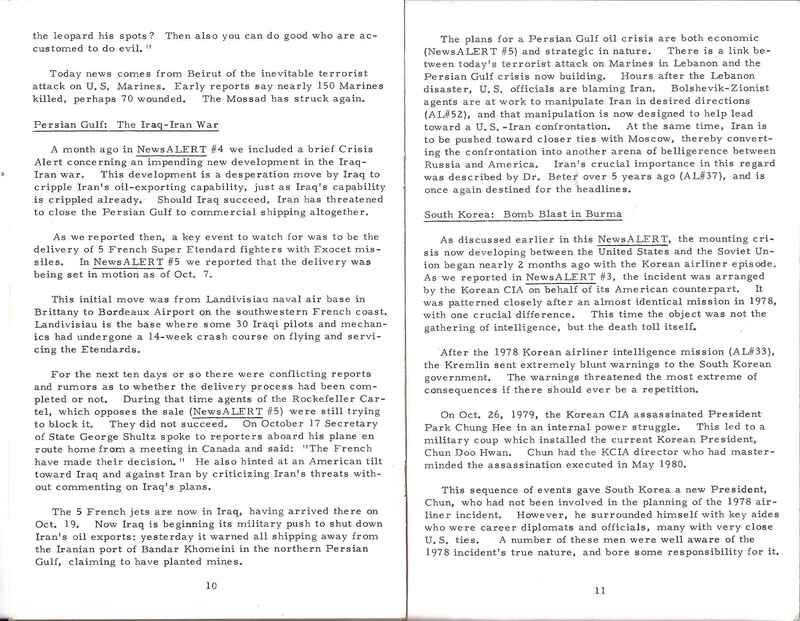 Those interested in Higher Quality (Higher bitrates - hq) of MP3 please click on "hq" links.